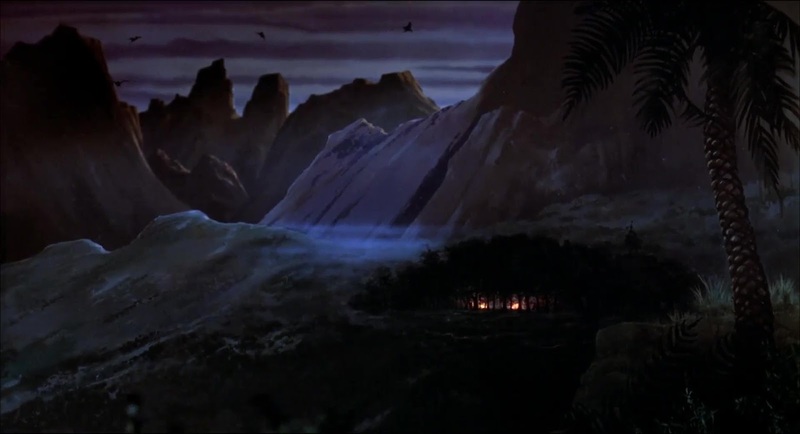 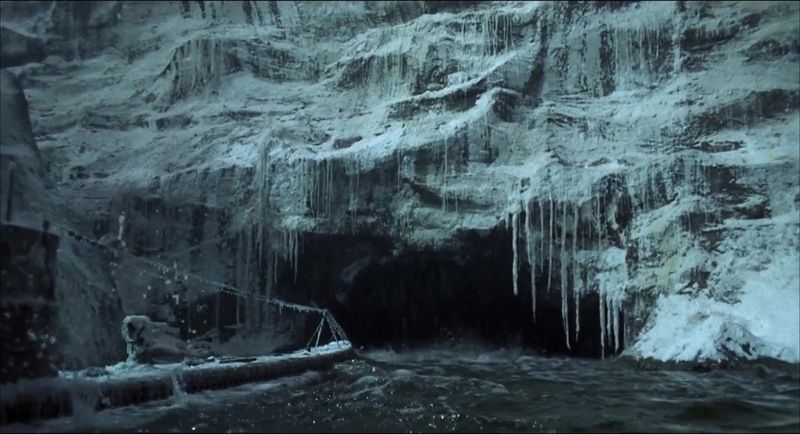 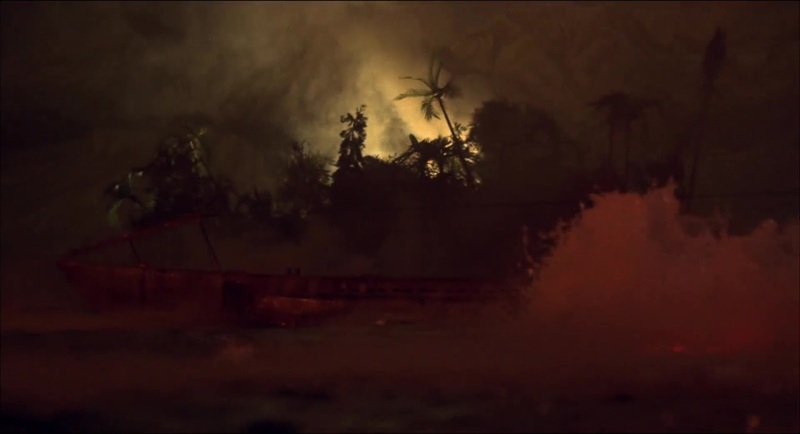 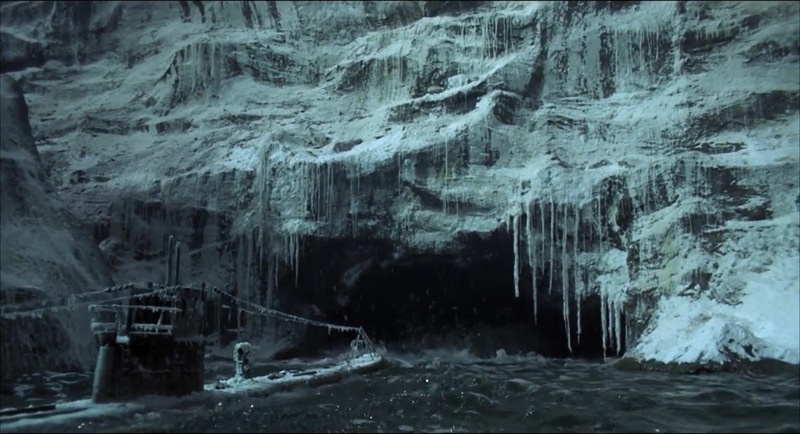 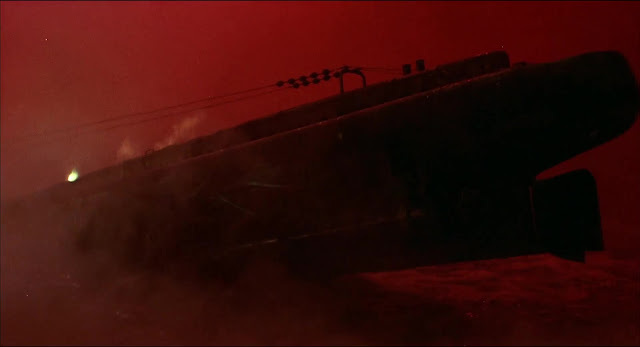 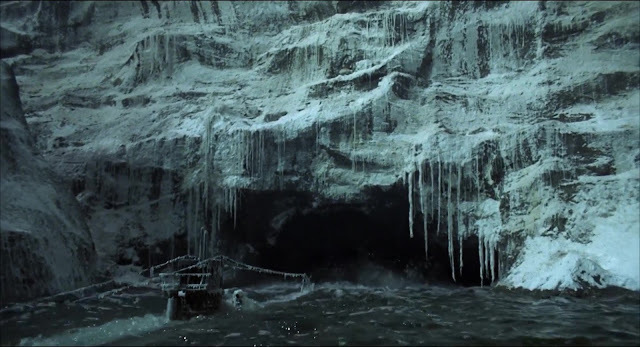 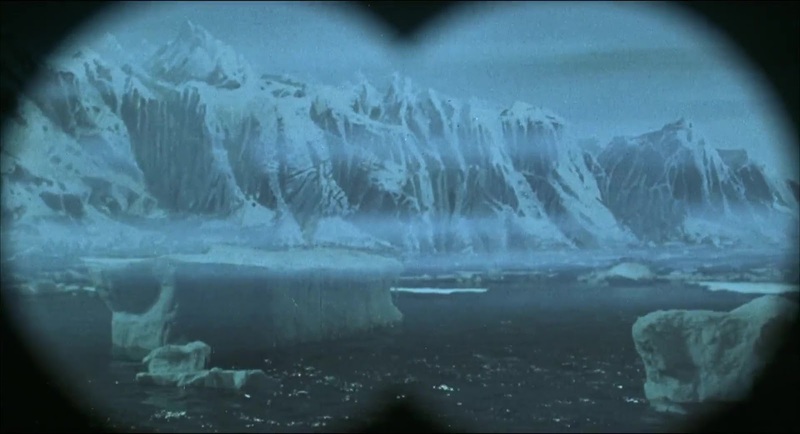 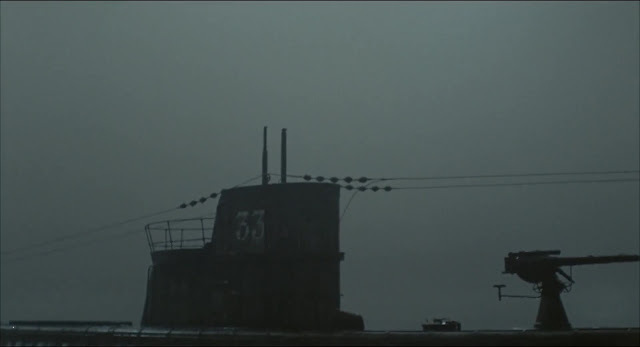 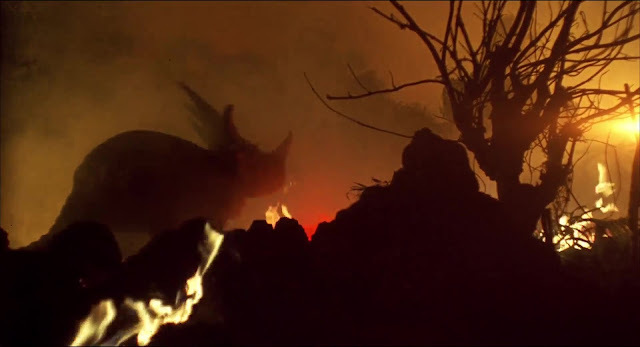 The visual effects were supervised by Derek Meddings and they are for the most part pretty well orchestrated in this movie. 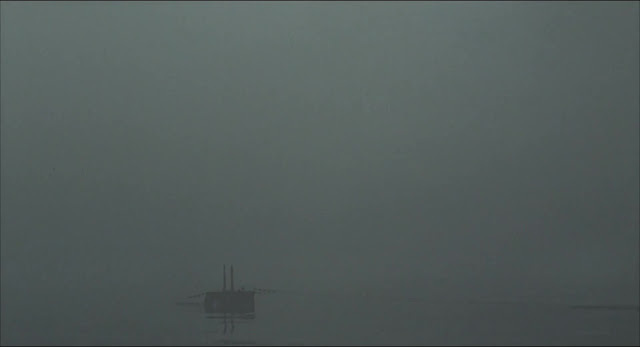 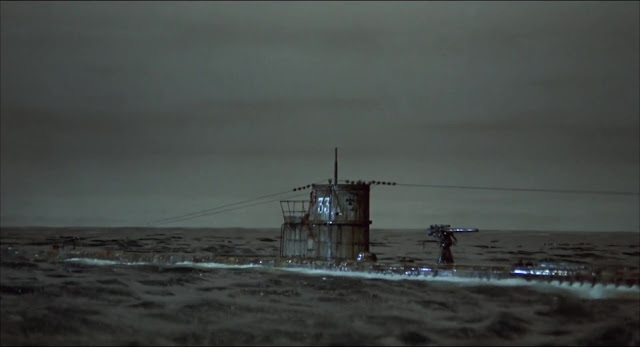 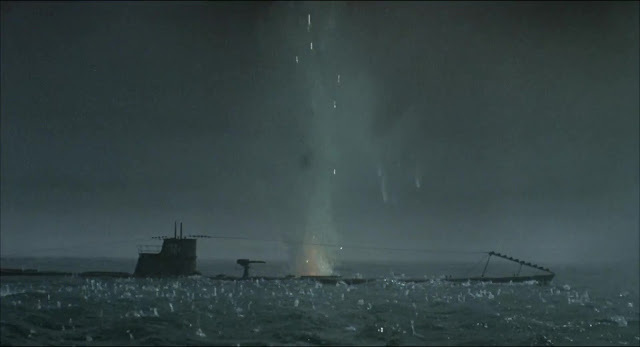 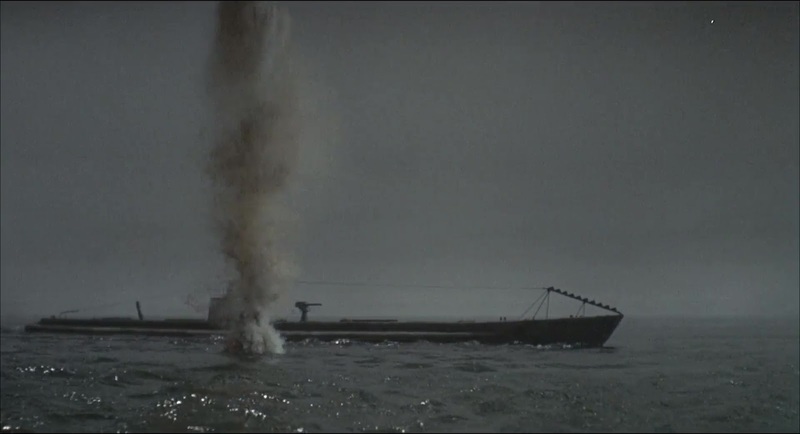 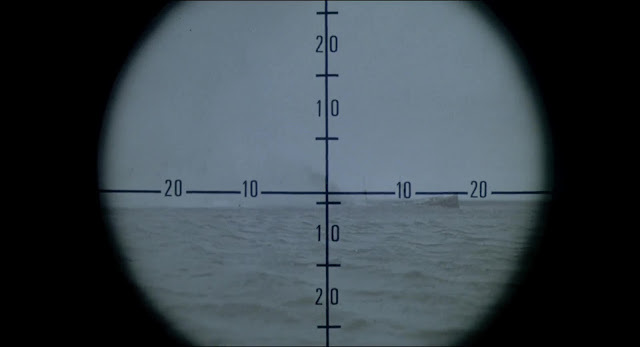 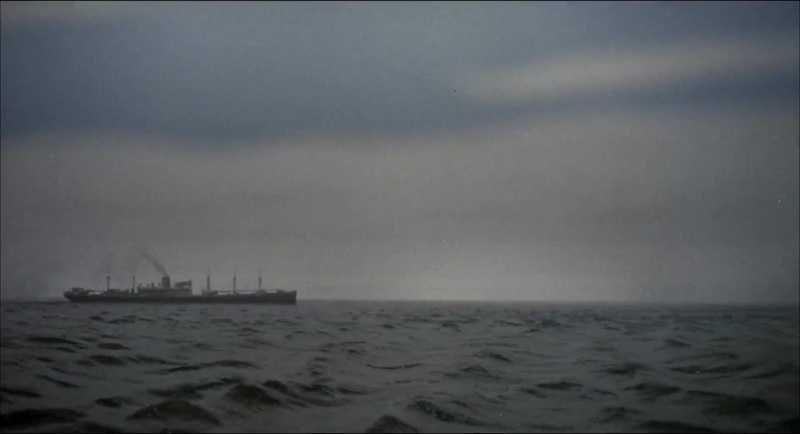 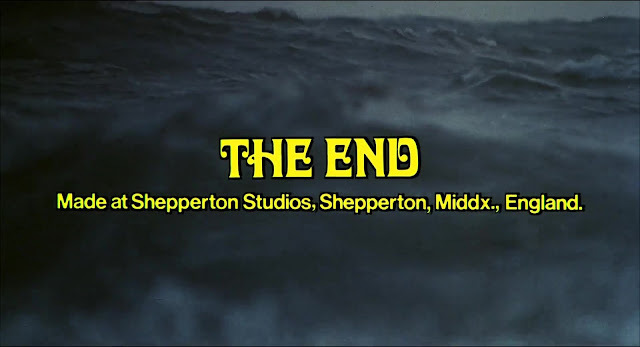 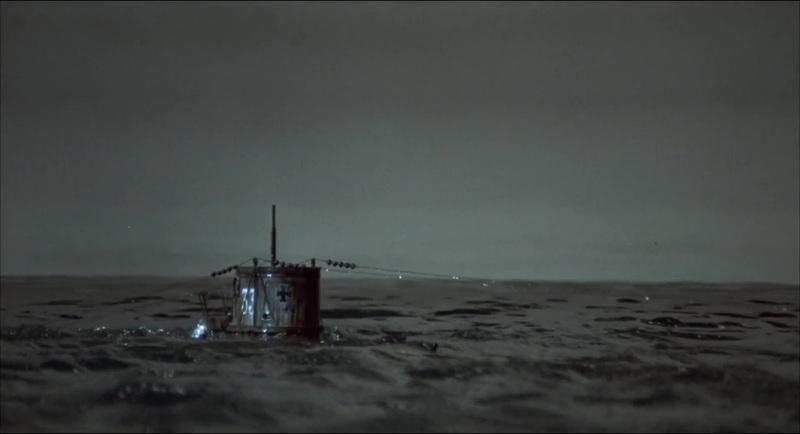 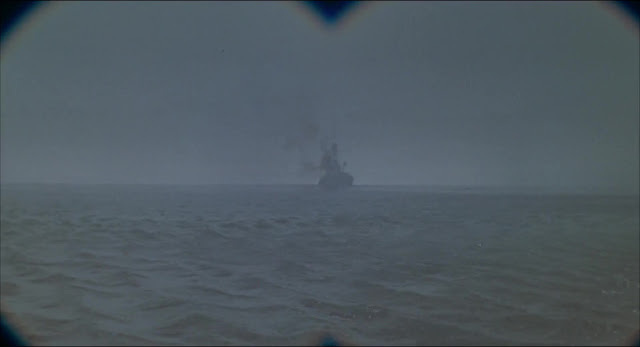 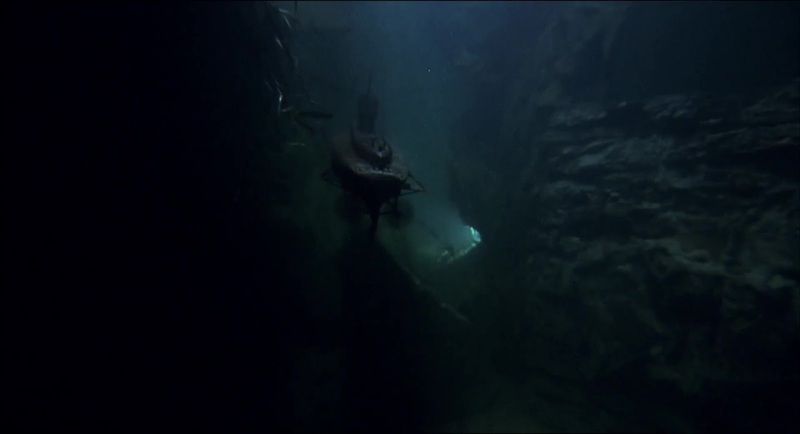 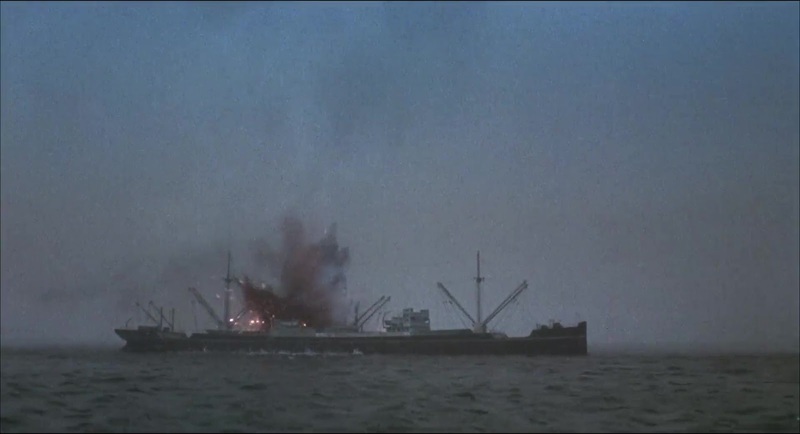 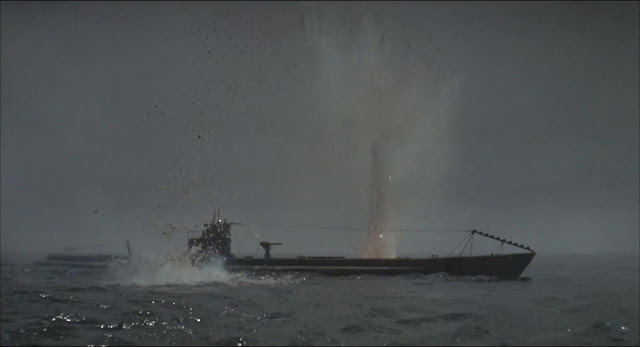 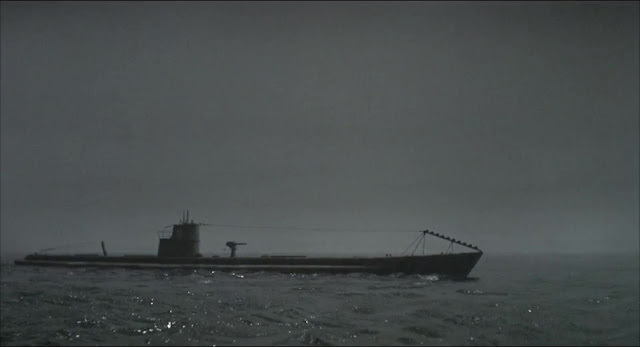 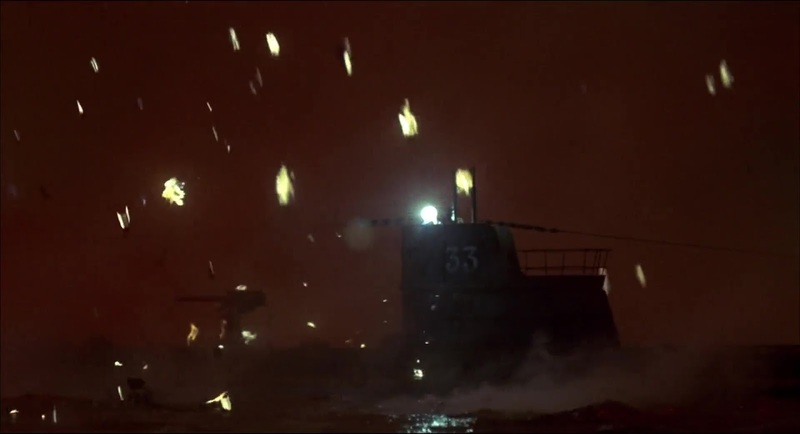 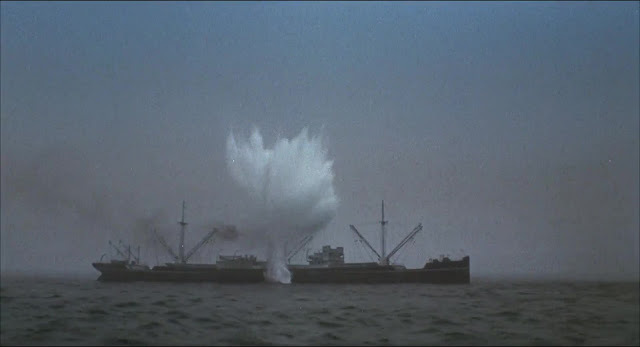 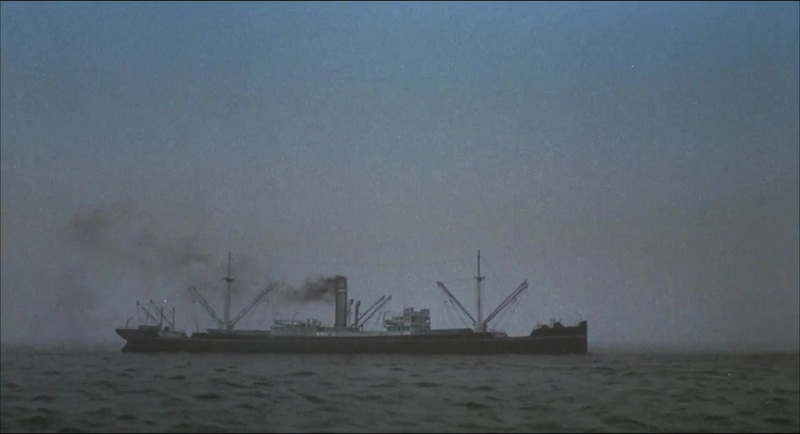 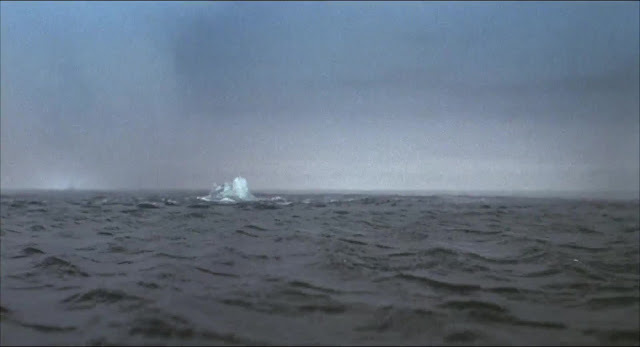 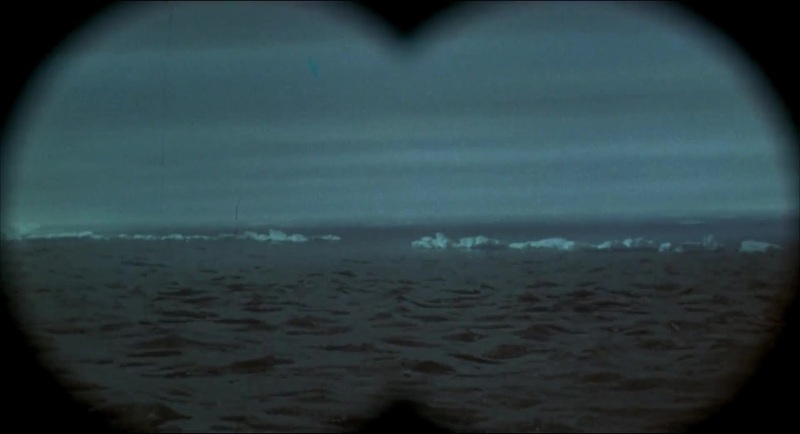 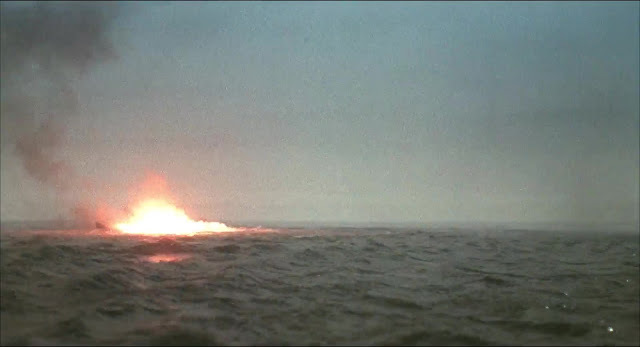 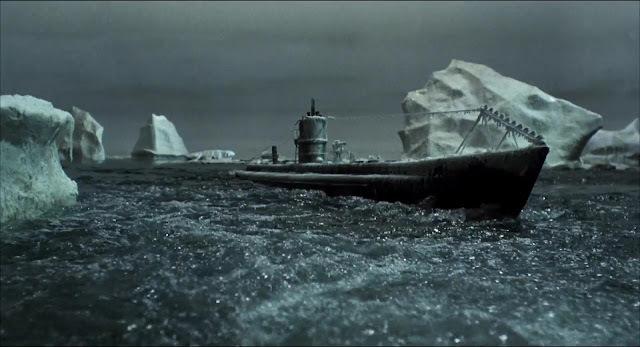 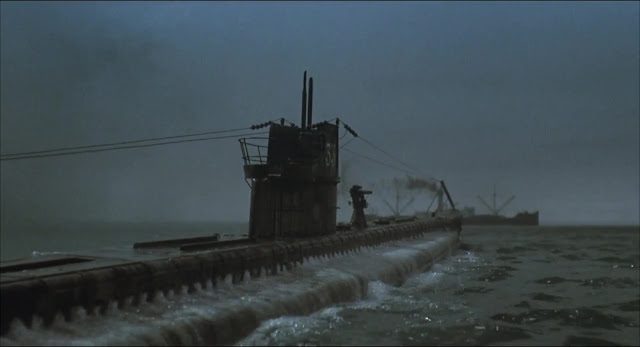 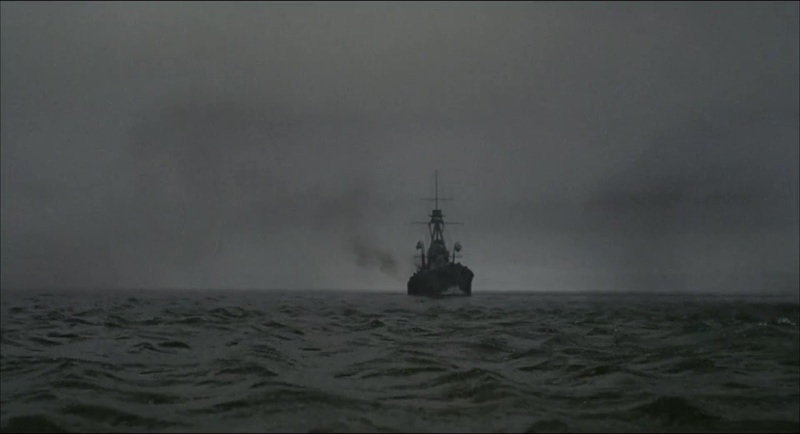 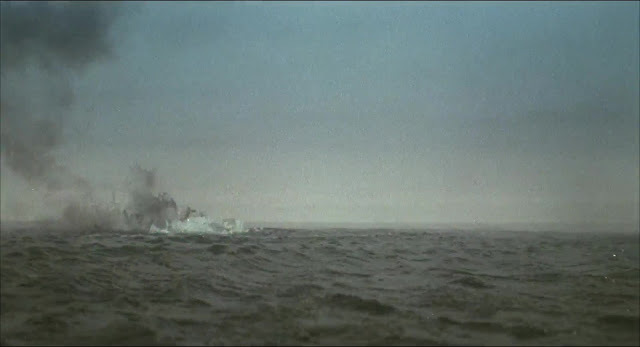 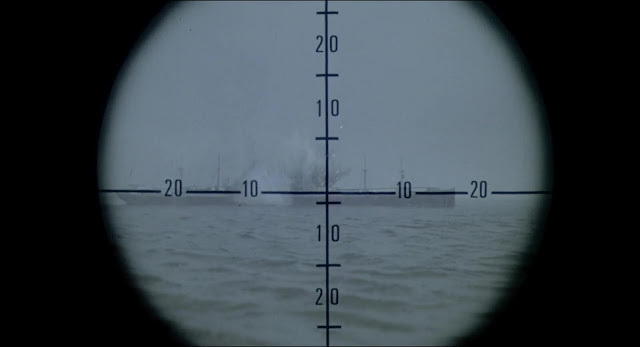 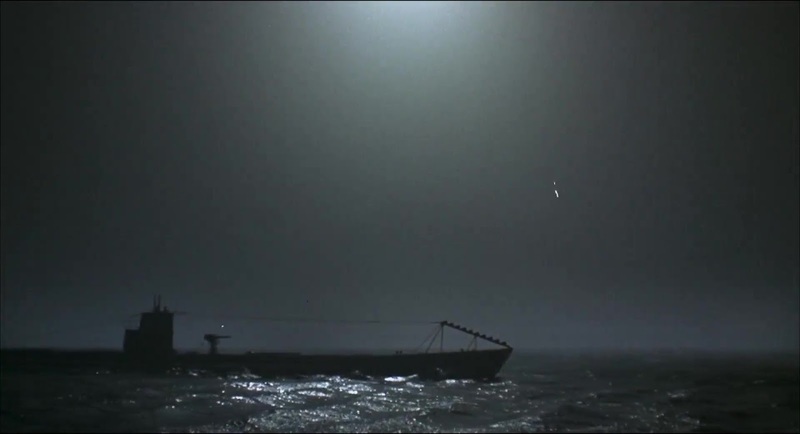 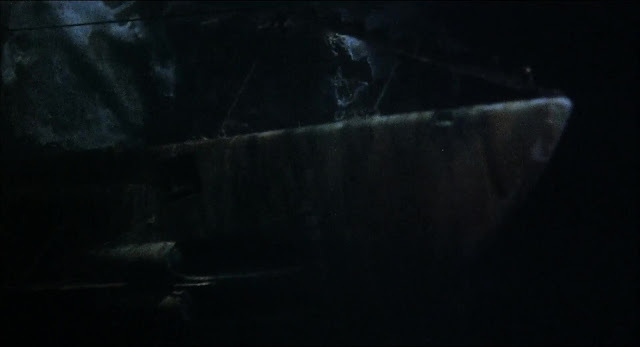 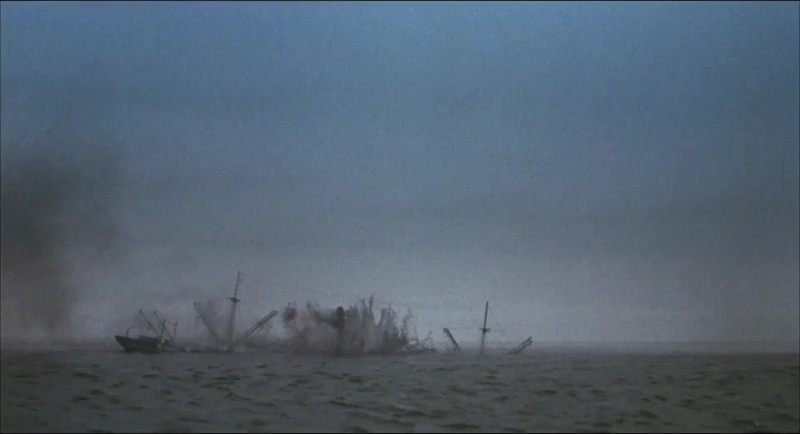 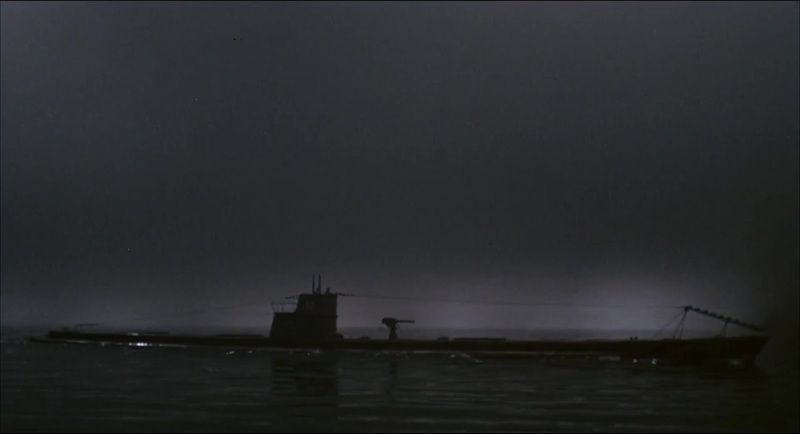 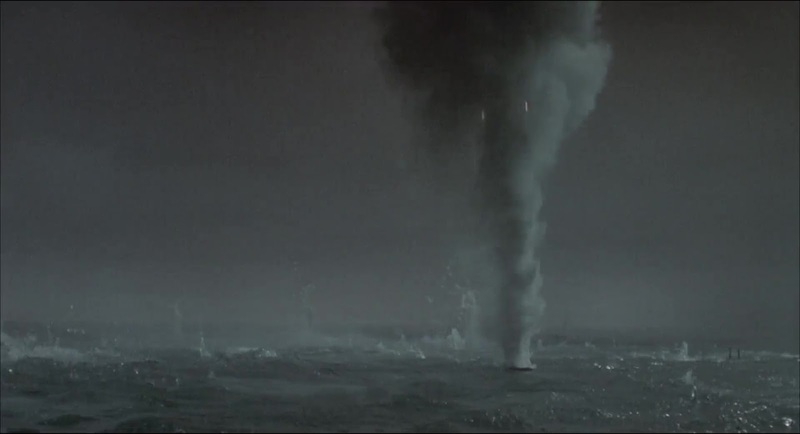 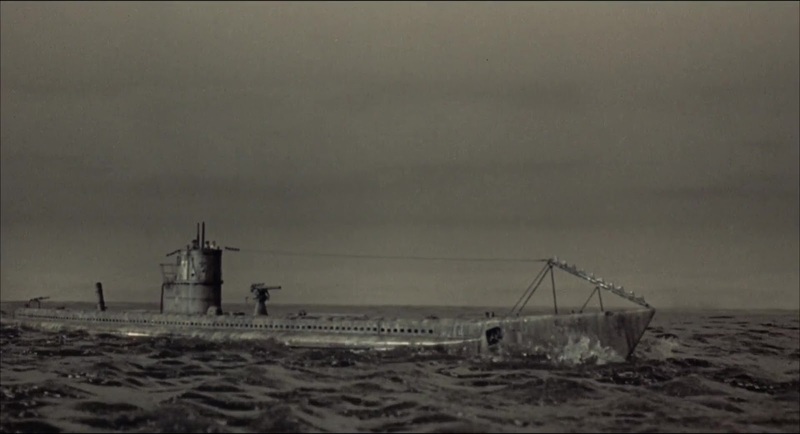 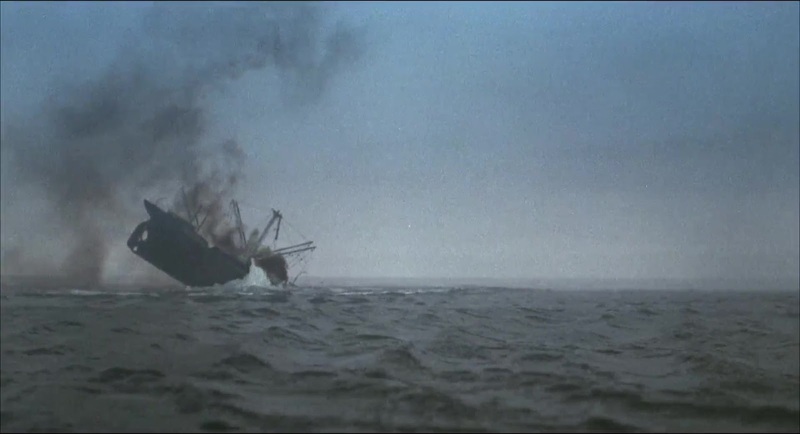 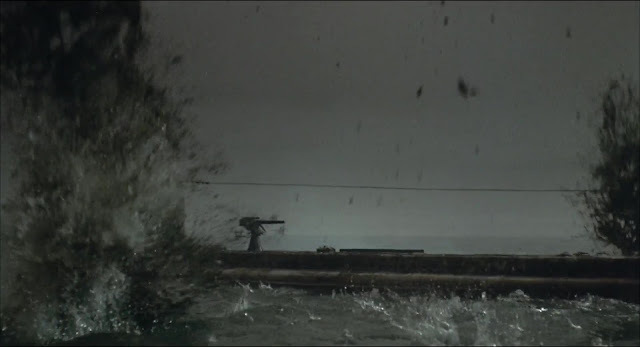 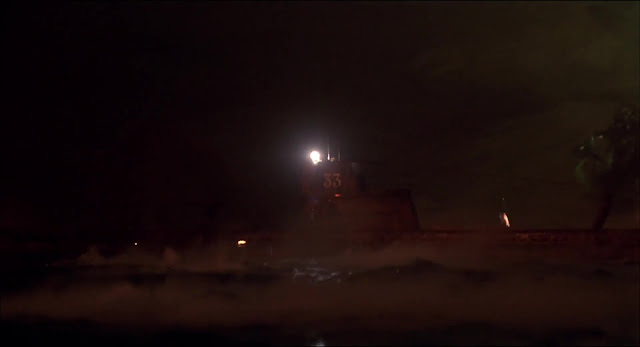 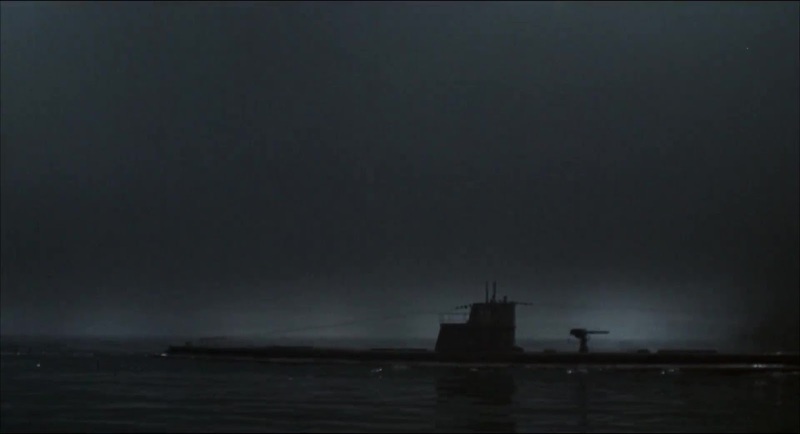 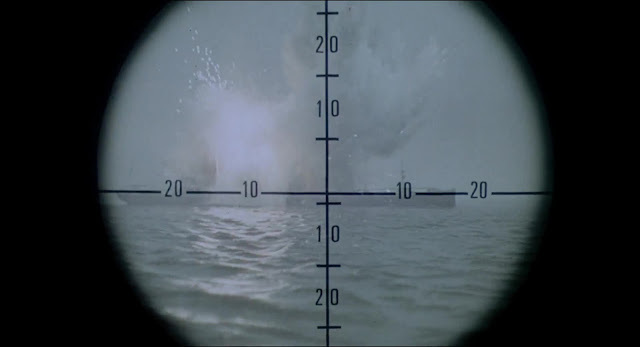 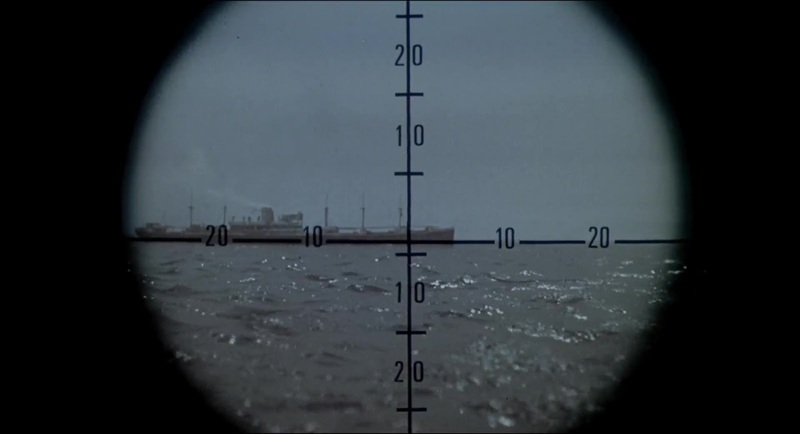 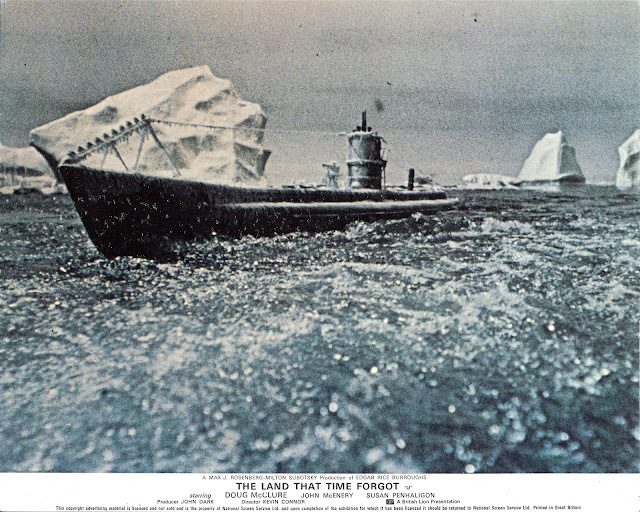 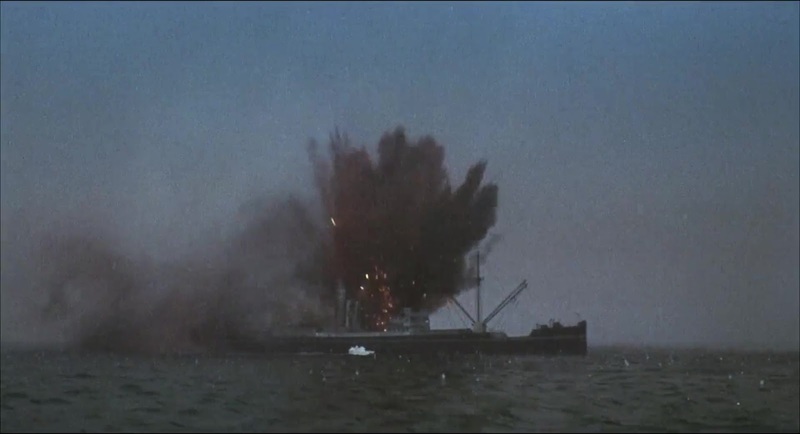 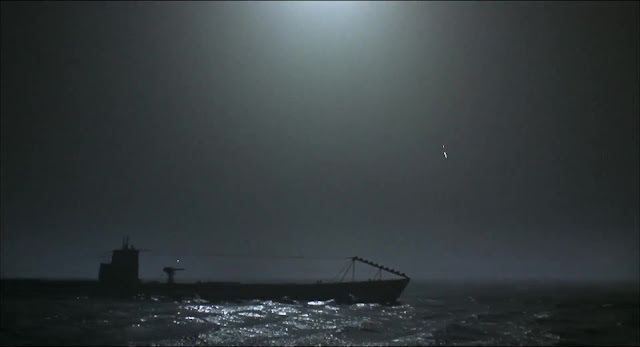 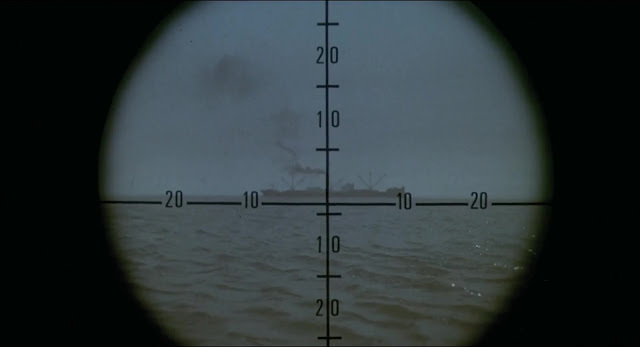 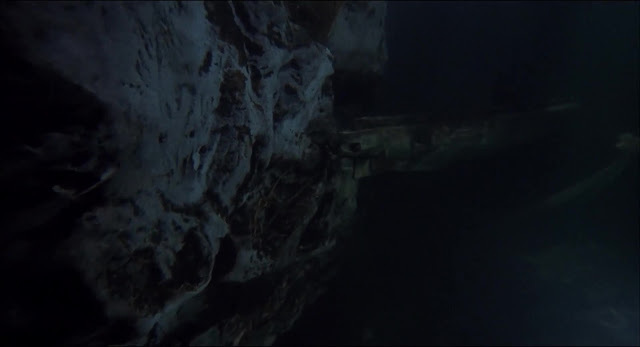 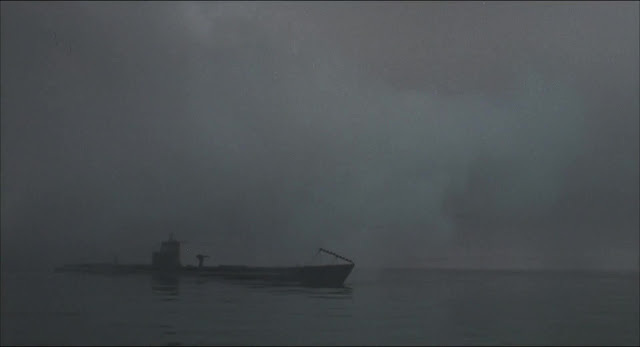 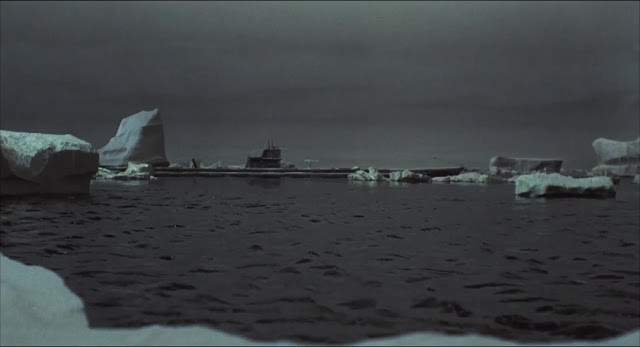 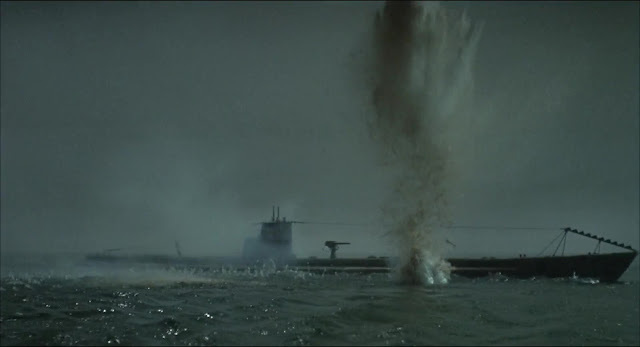 There is a British ship that is torpedoed in the opening sequence and a German supply vessel torpedoed a little later with both ships likely represented by the same model with a few modifications such as the type and number of masts and derricks. 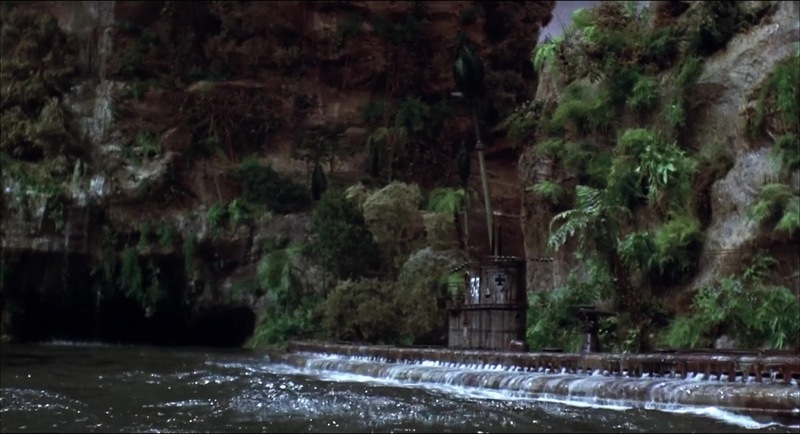 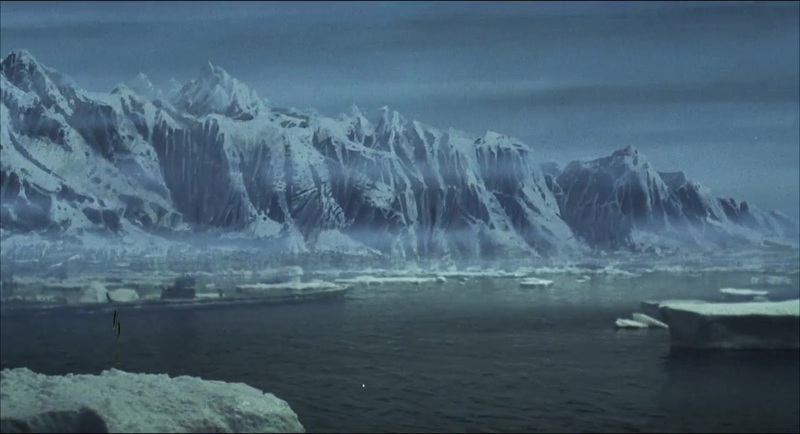 The miniature landscapes are mostly very well realised with a varying quality of scenic art in the background. 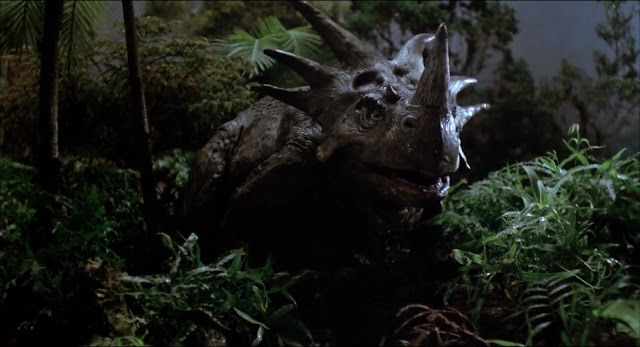 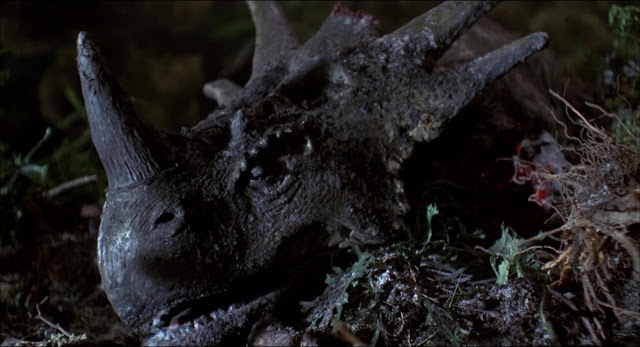 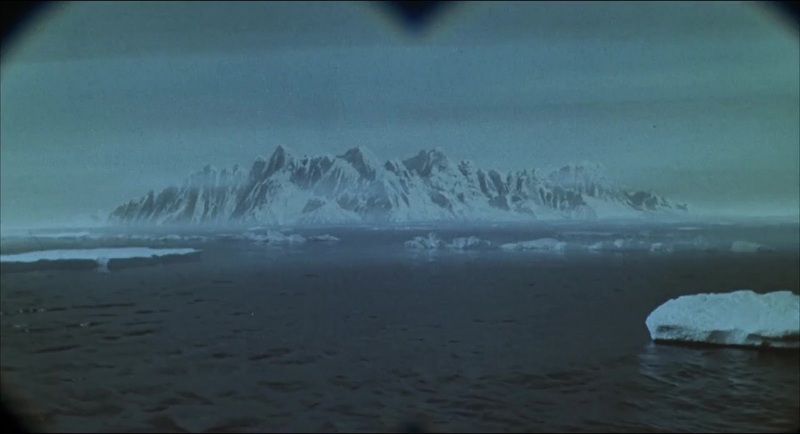 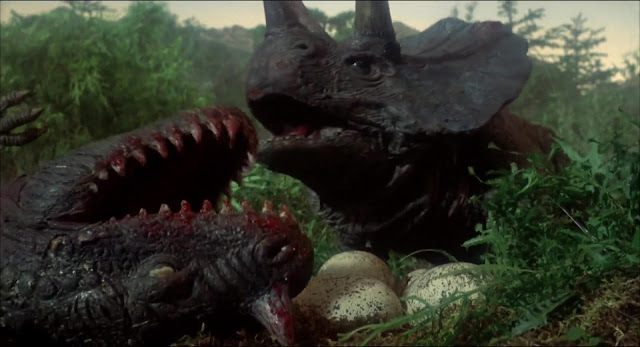 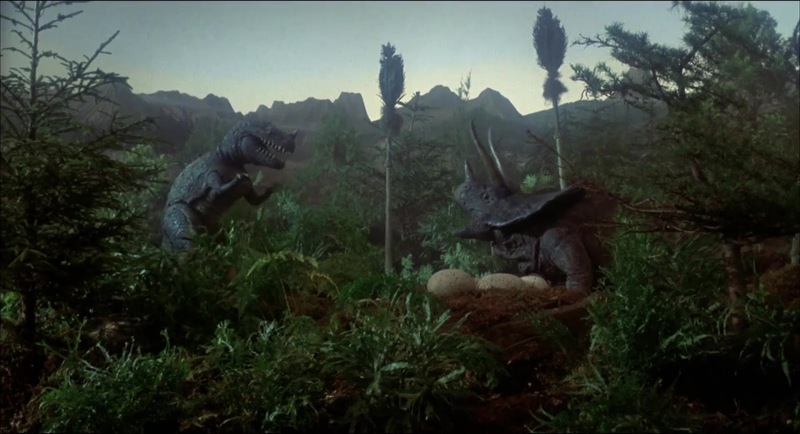 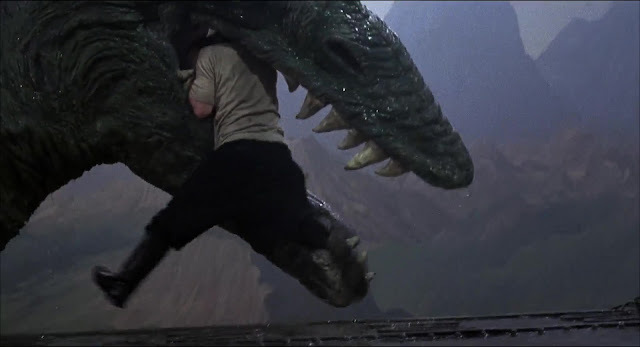 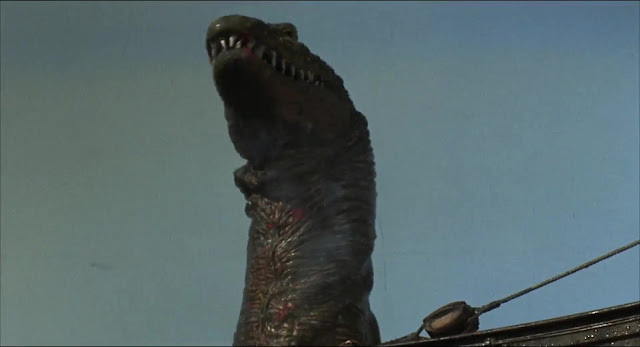 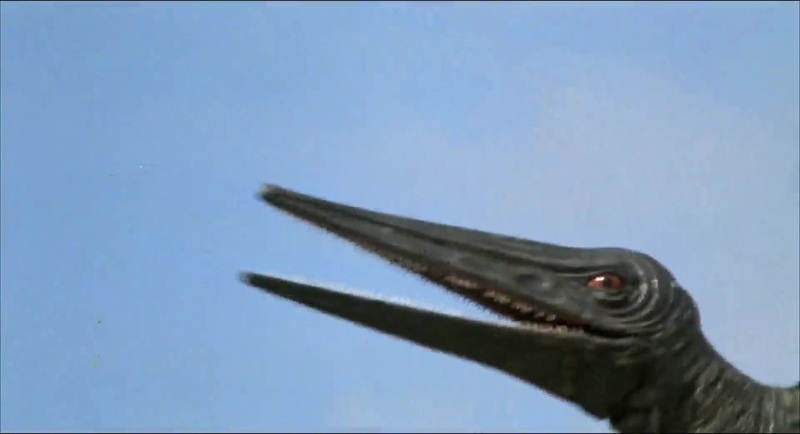 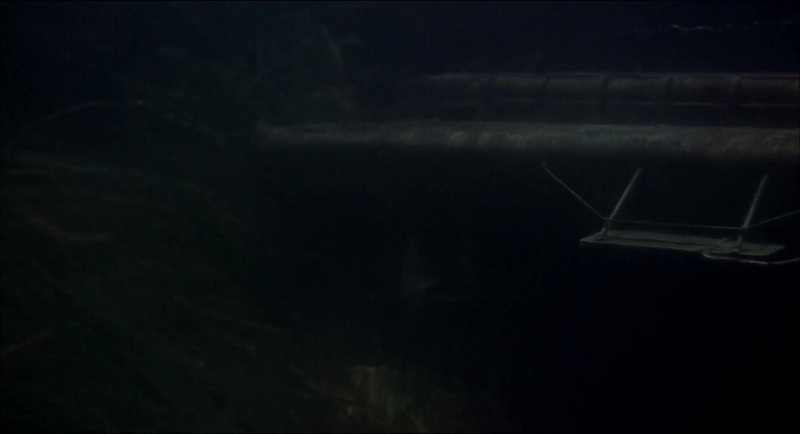 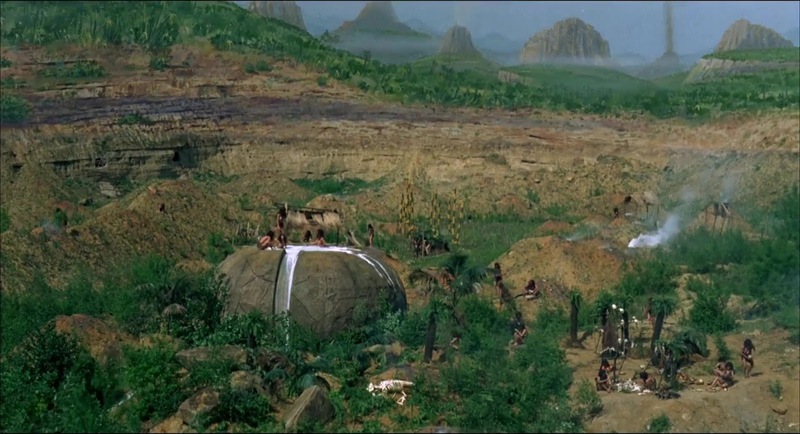 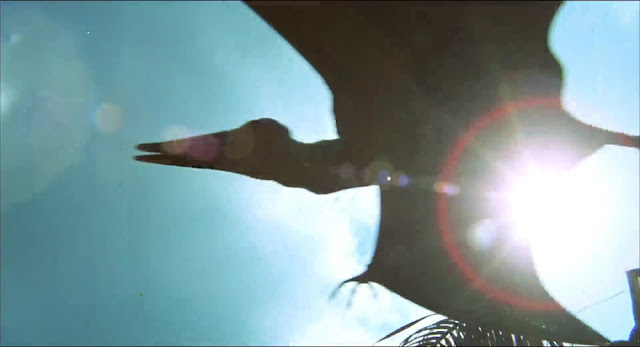 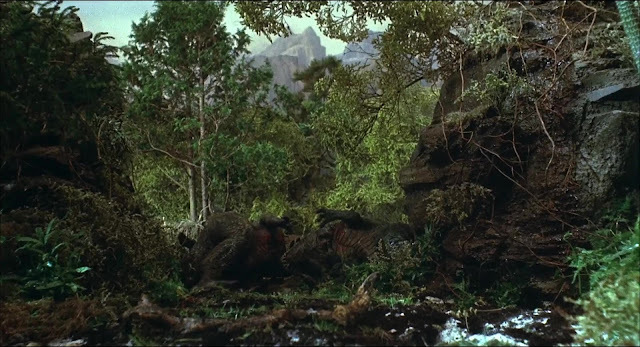 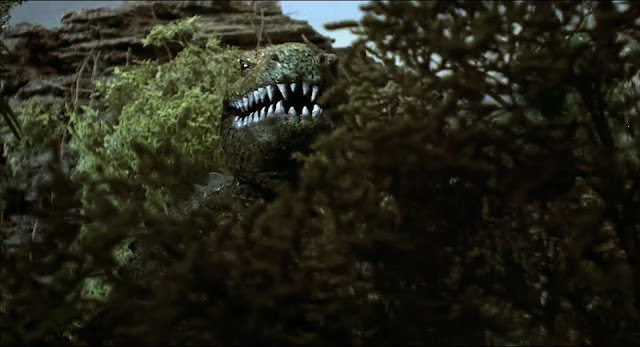 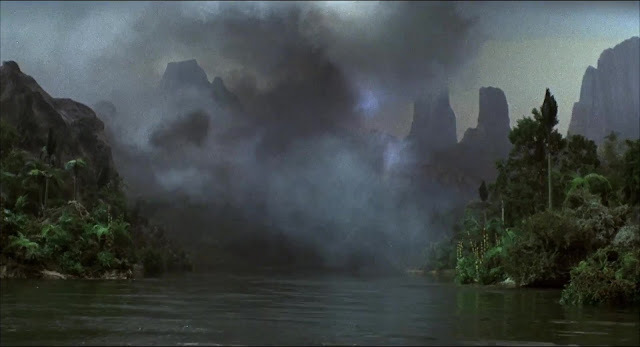 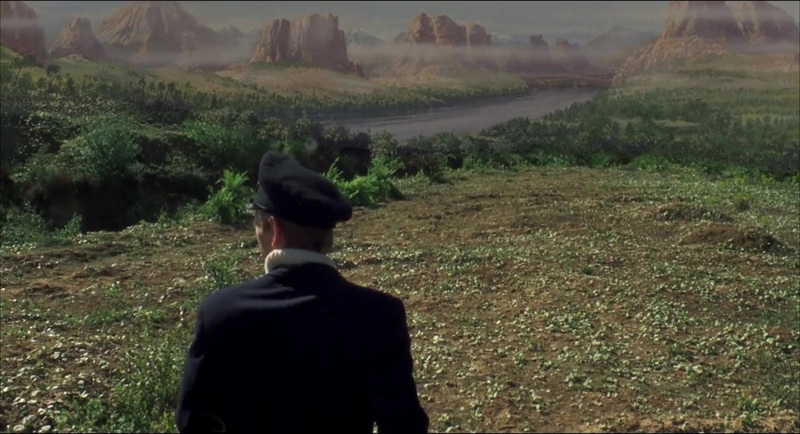 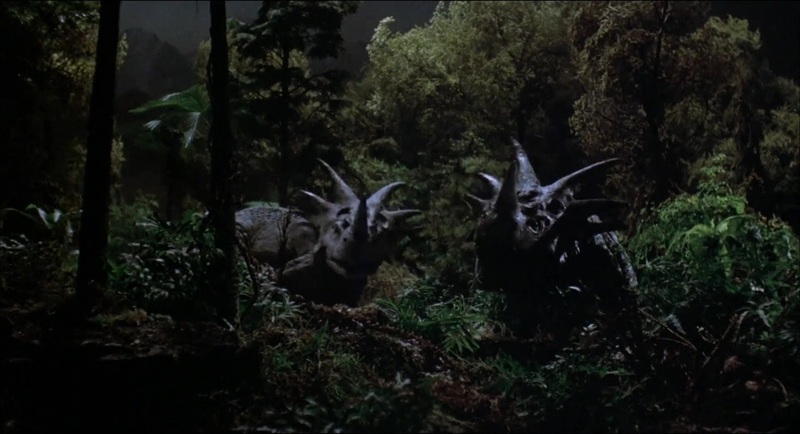 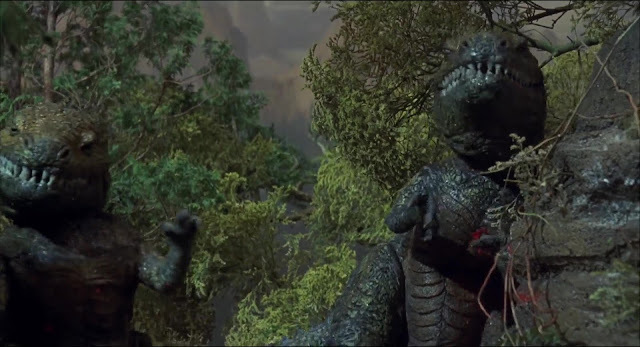 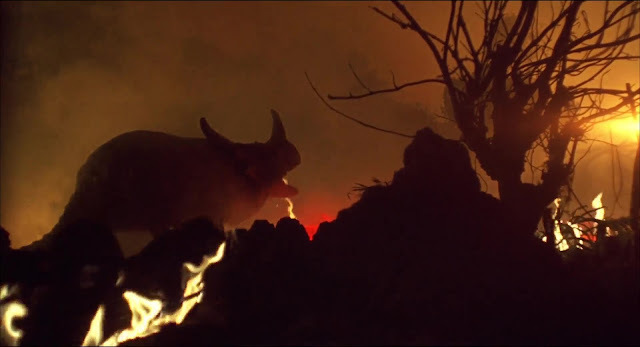 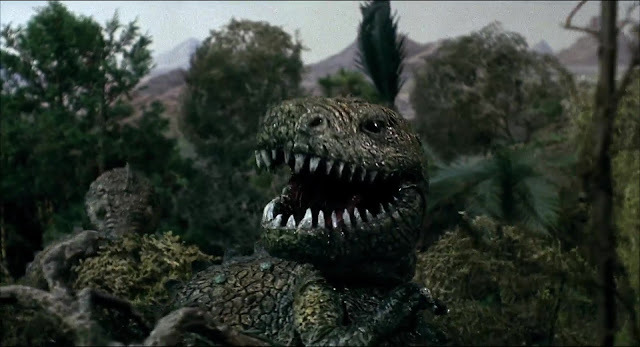 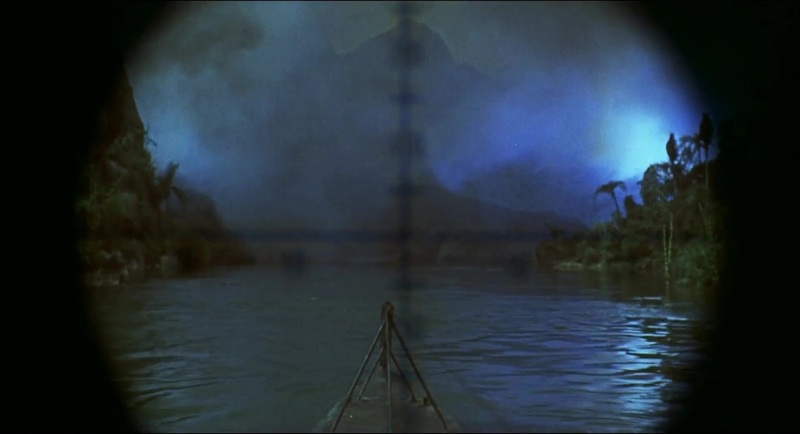 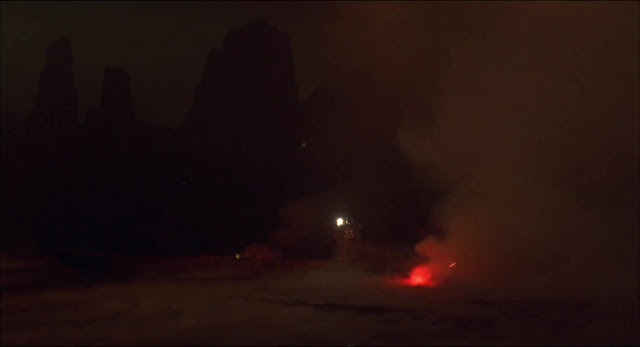 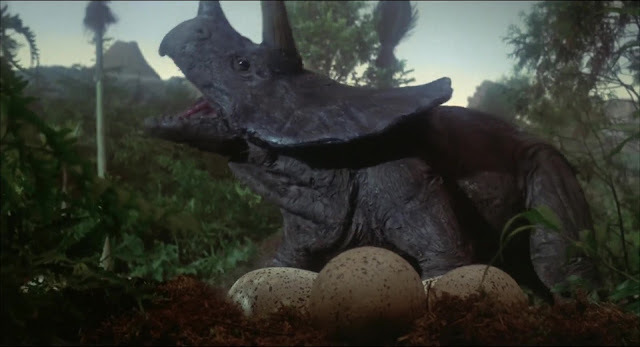 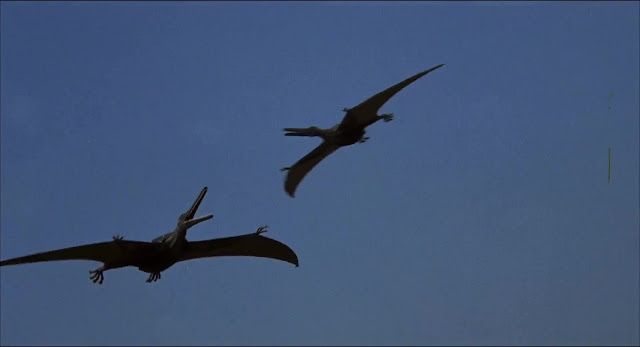 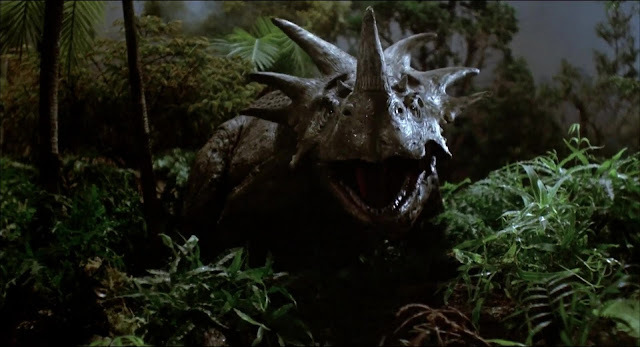 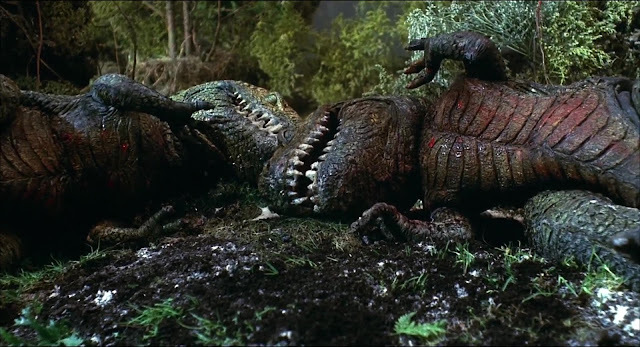 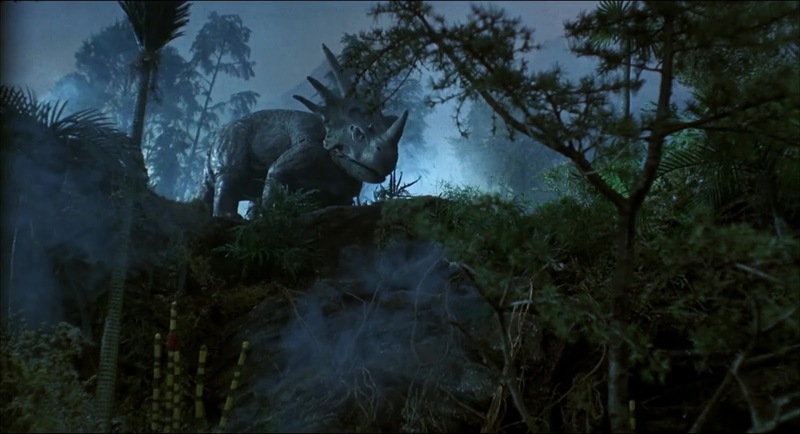 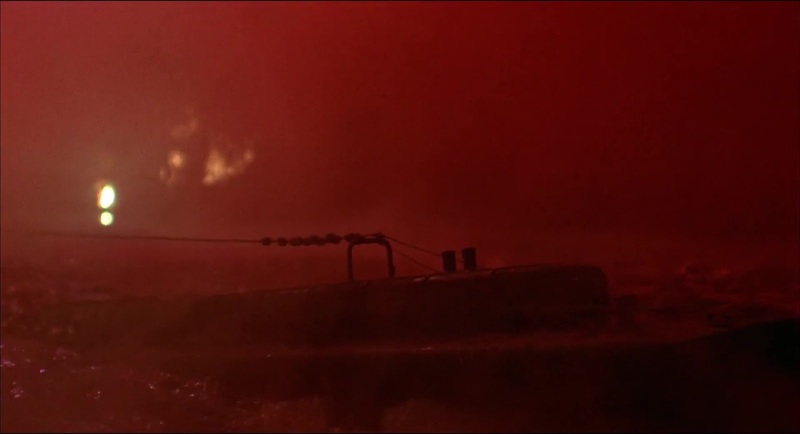 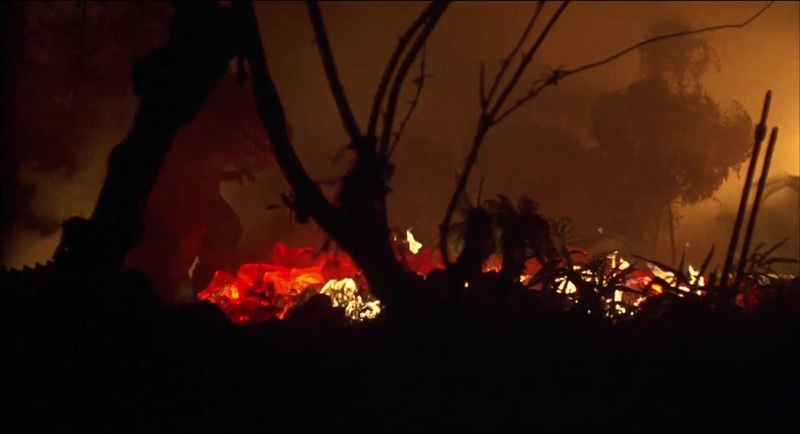 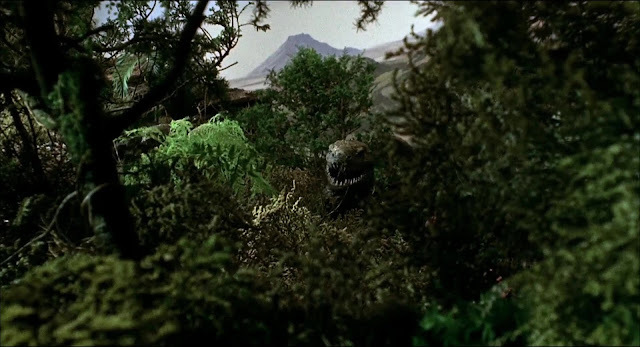 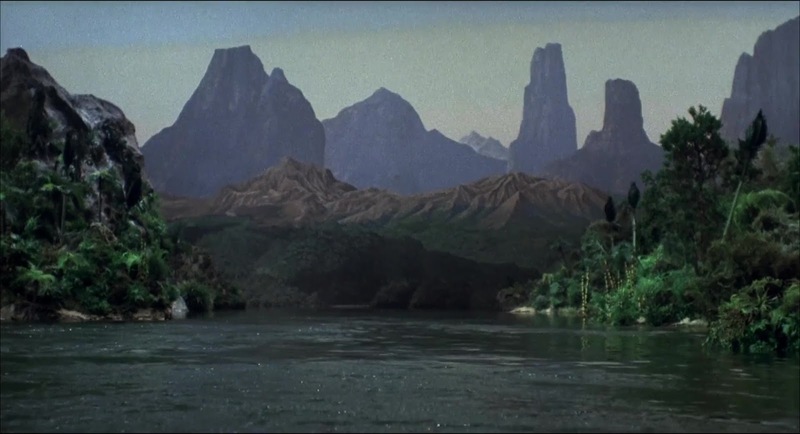 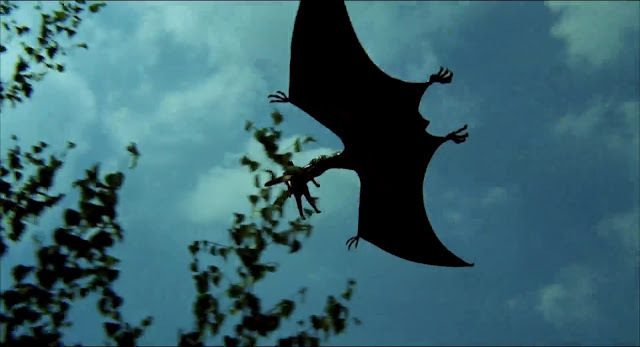 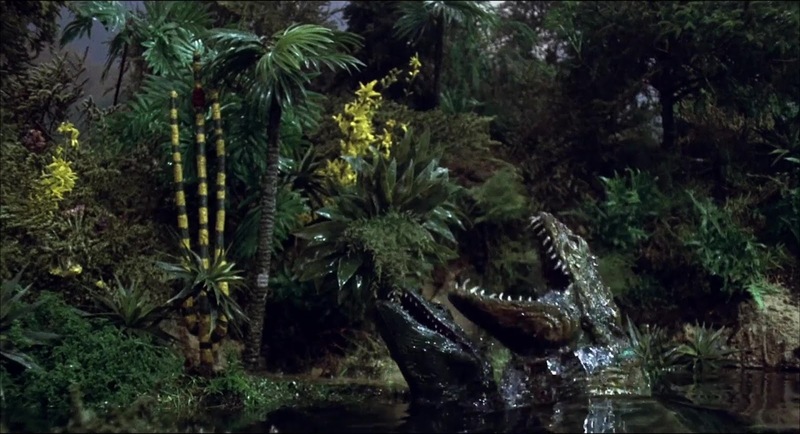 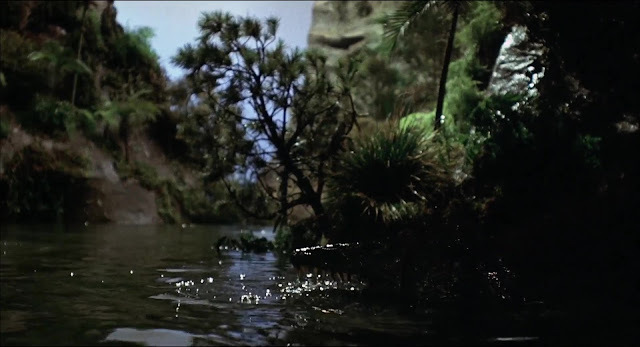 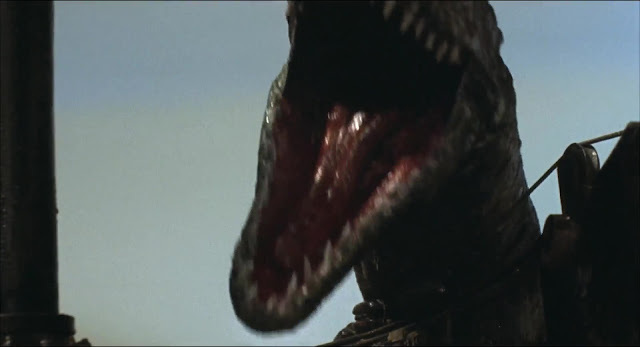 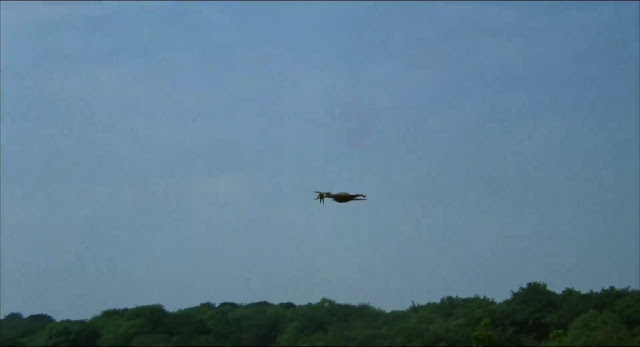 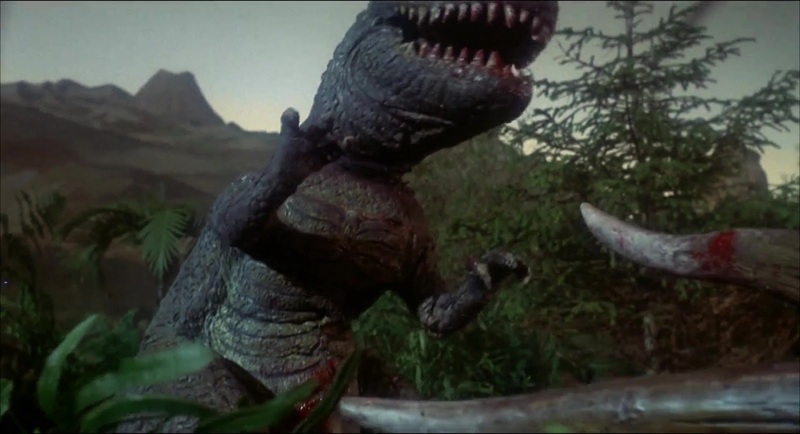 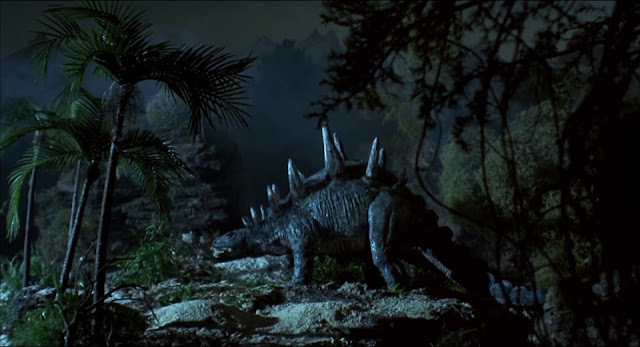 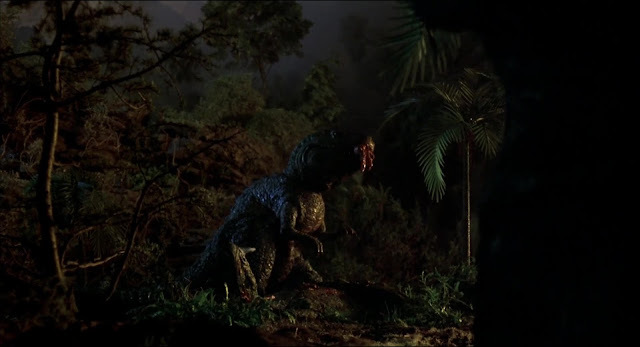 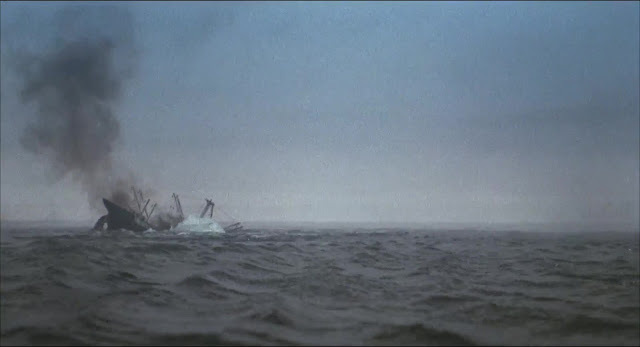 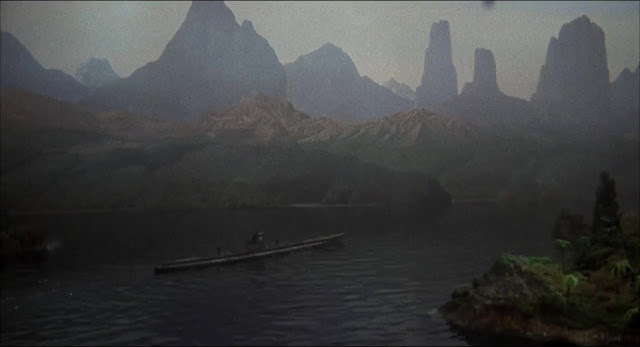 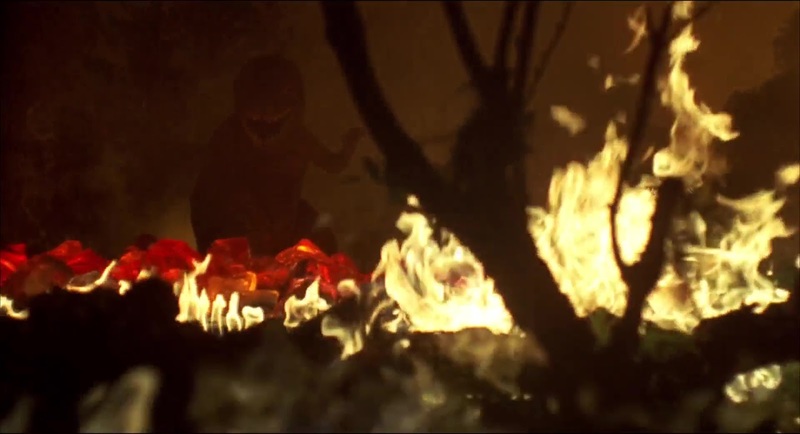 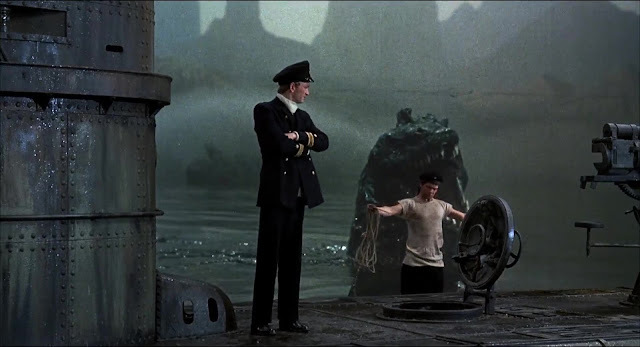 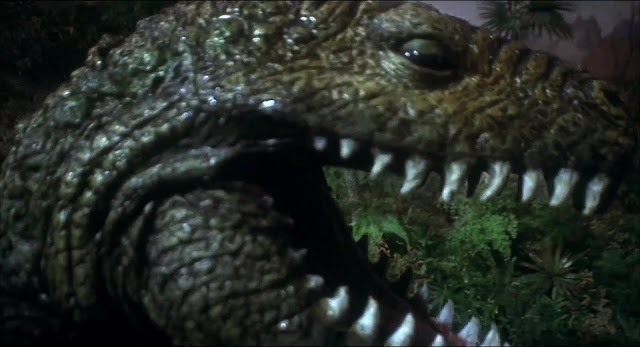 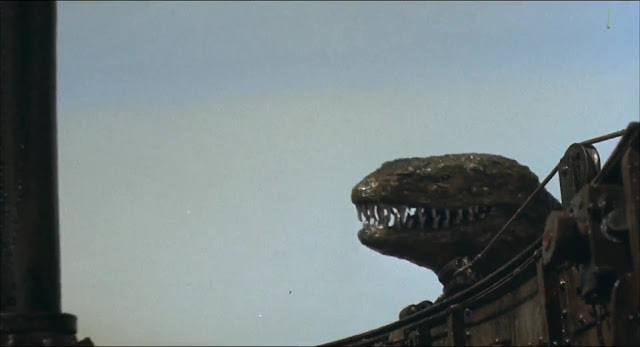 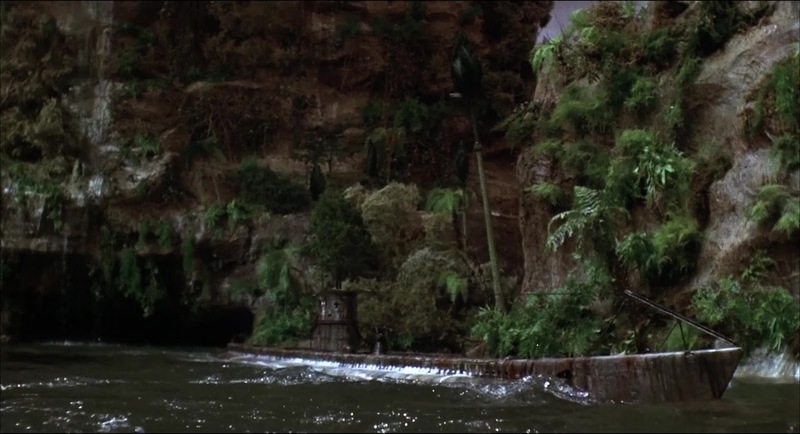 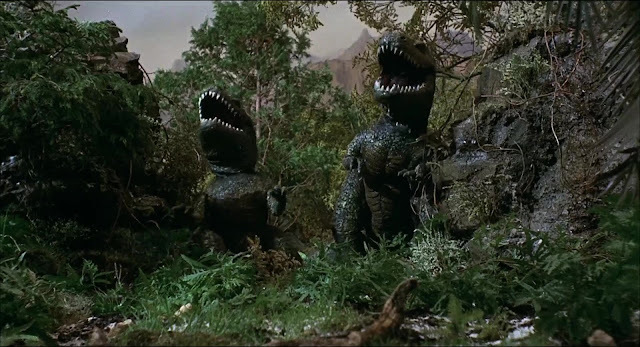 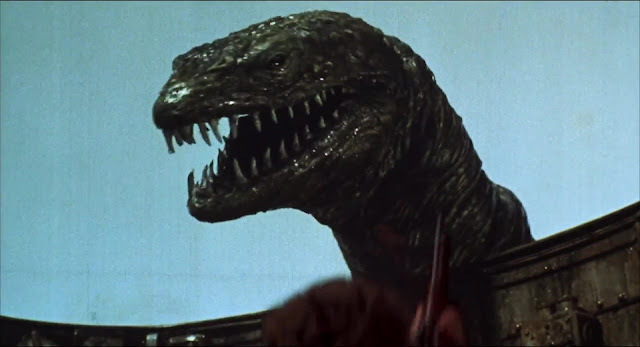 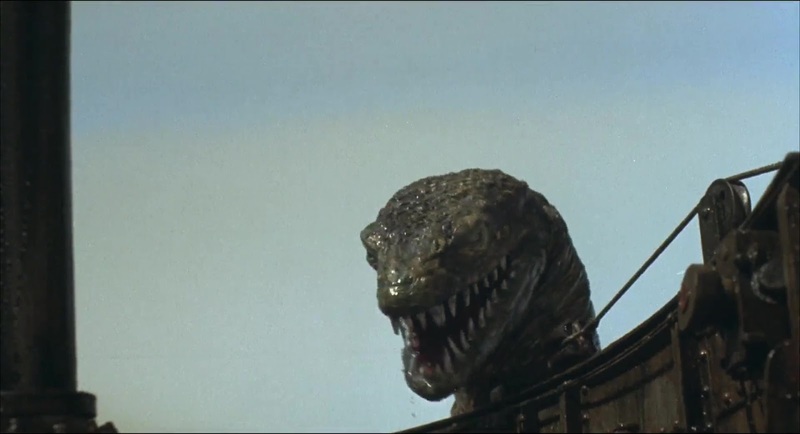 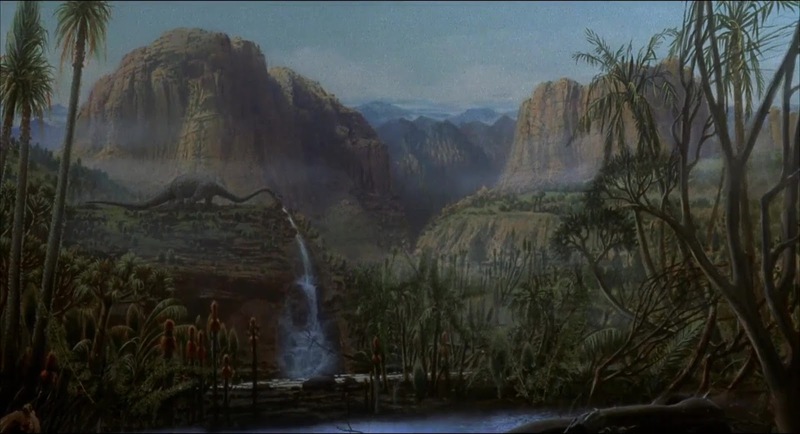 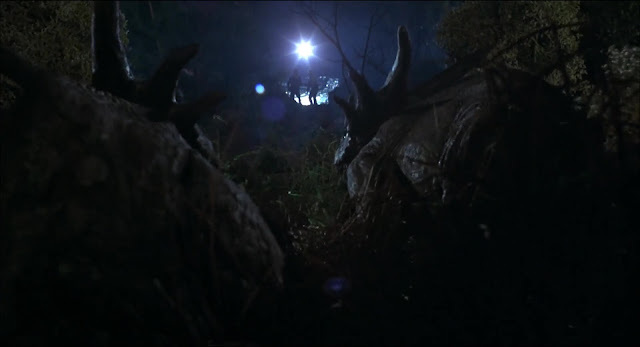 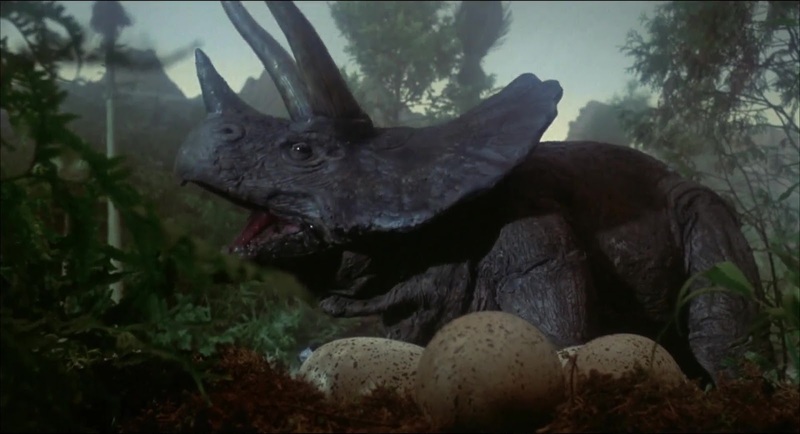 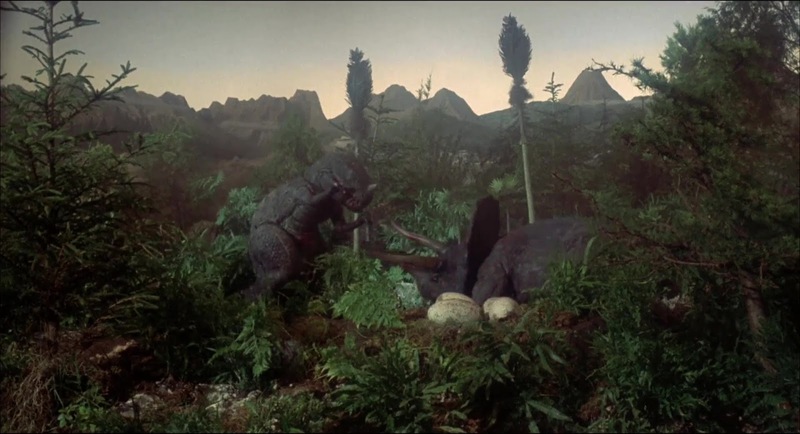 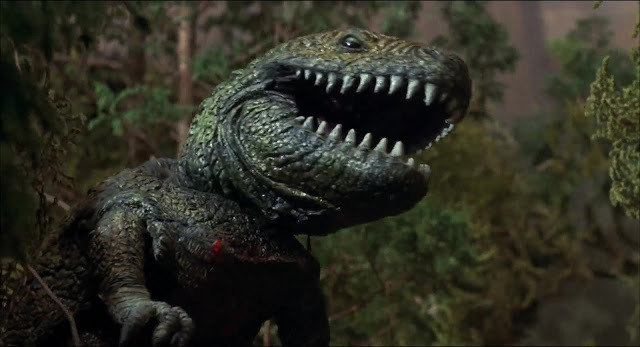 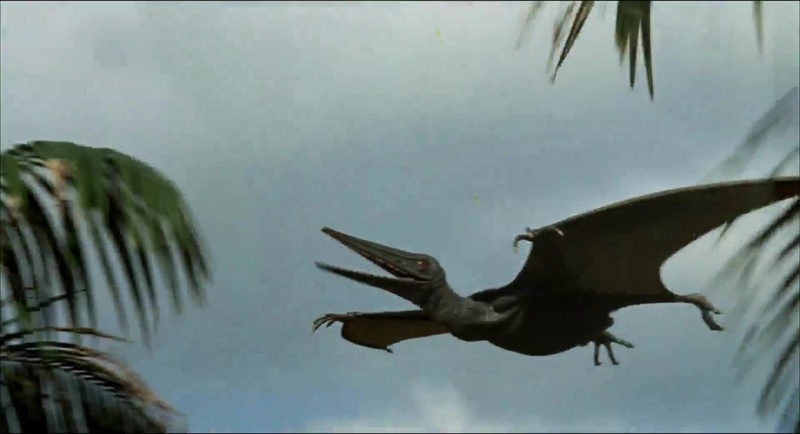 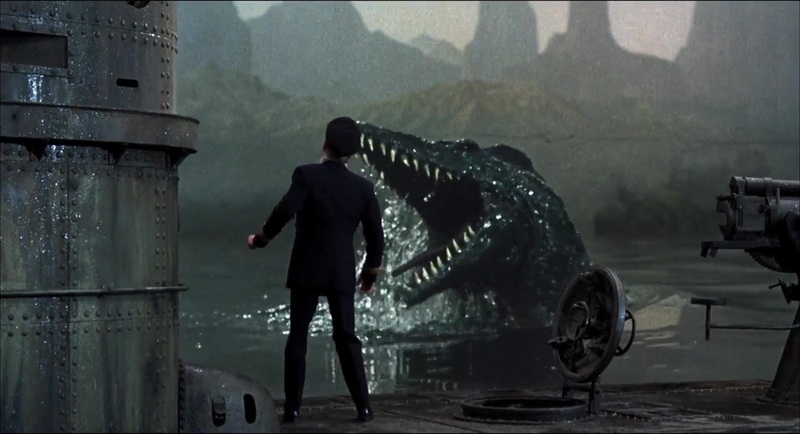 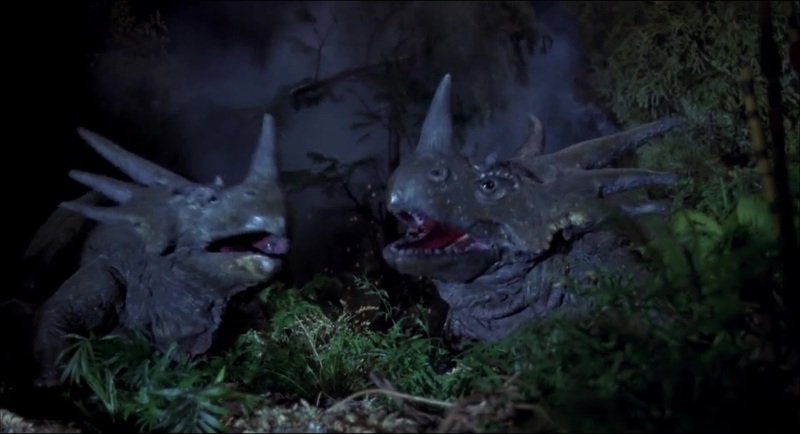 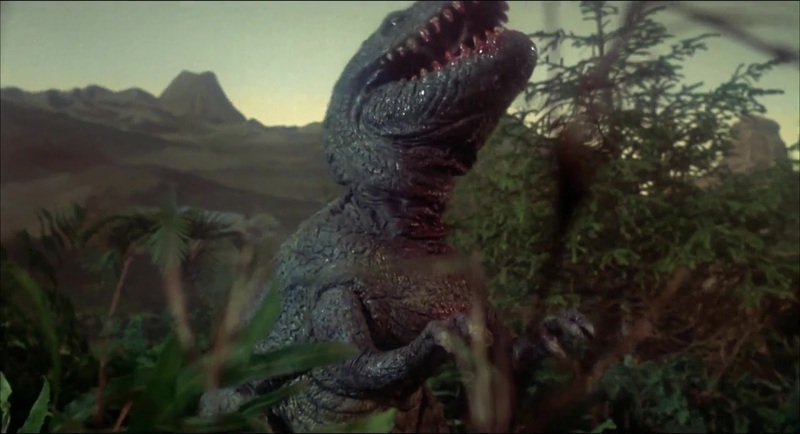 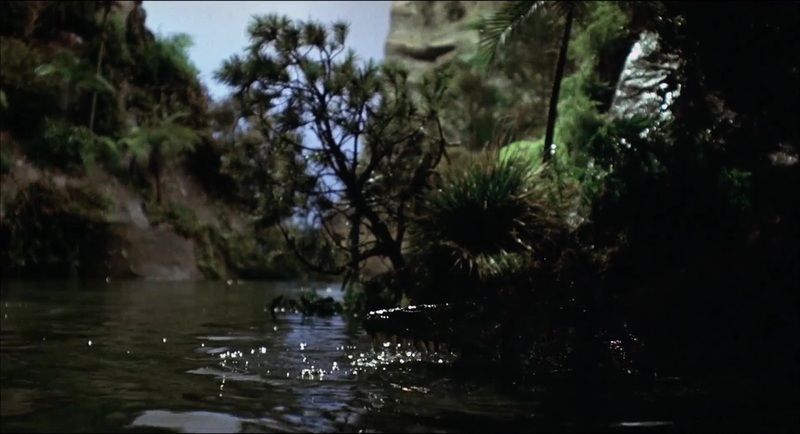 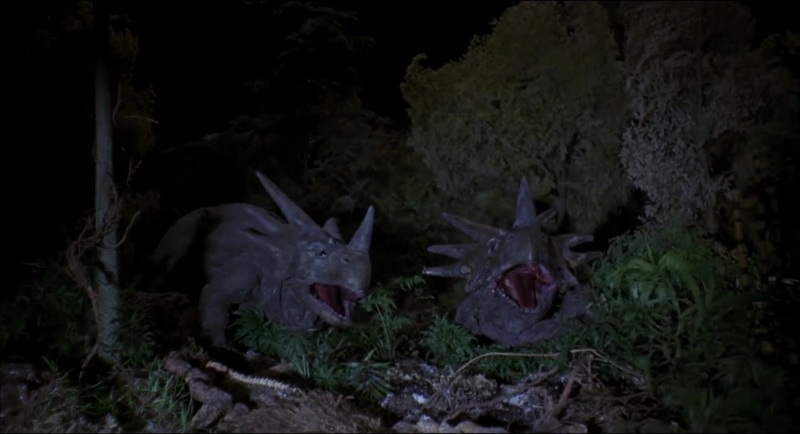 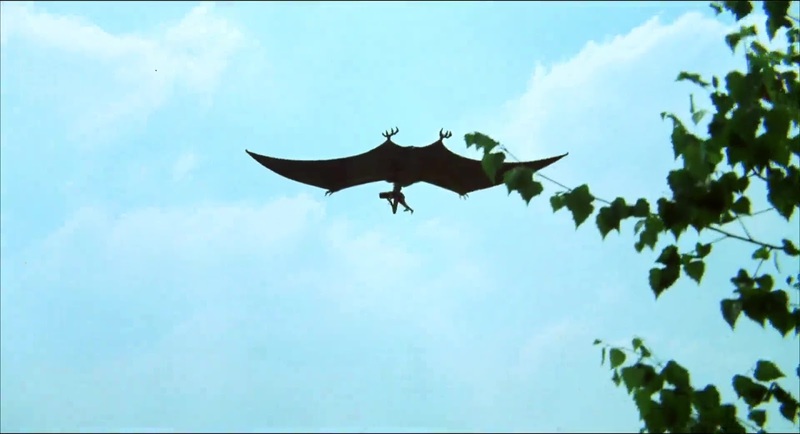 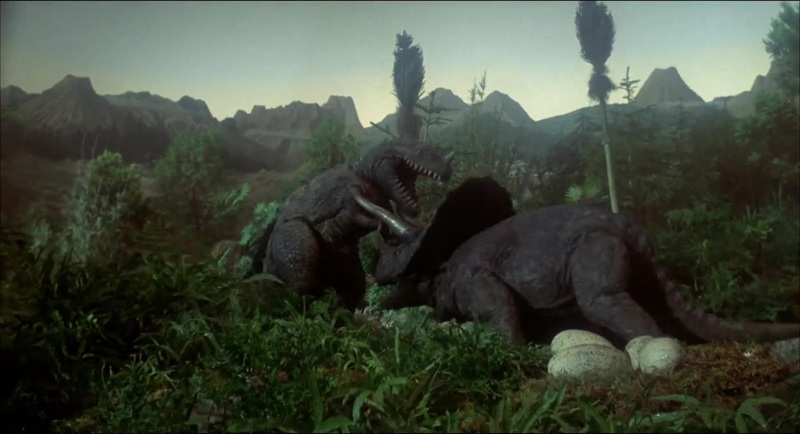 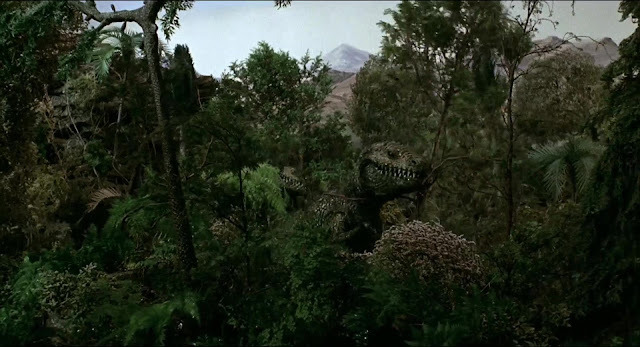 The least successful aspects to the film are the full size creatures particularly the pterodactyl which is very stiff and the support wires are clearly visible in one or two shots. 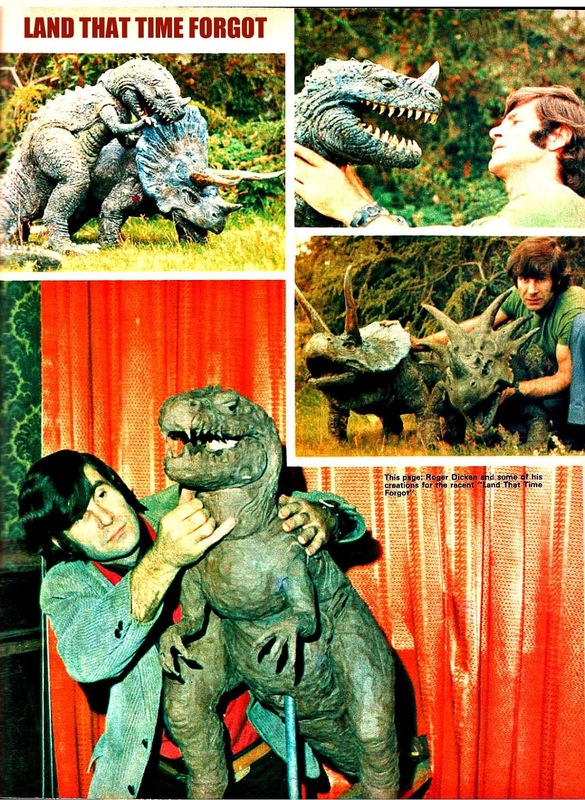 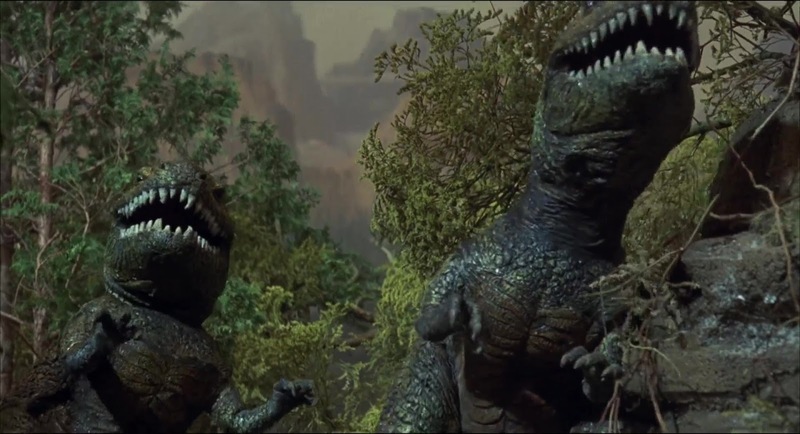 The miniature dinosaur puppets were made by Roger Dicken. 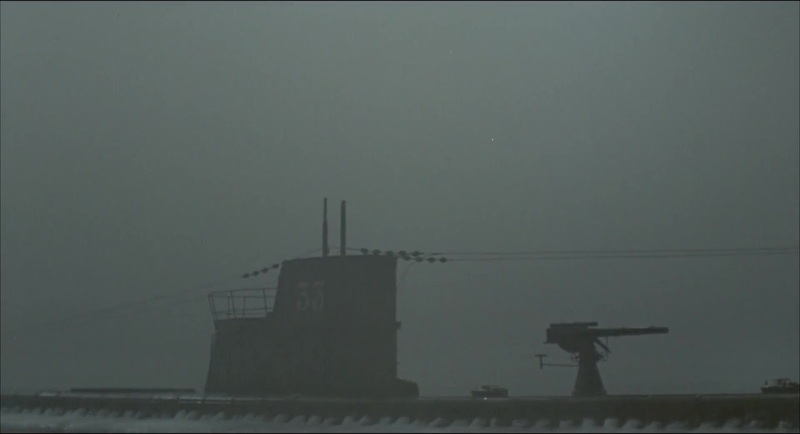 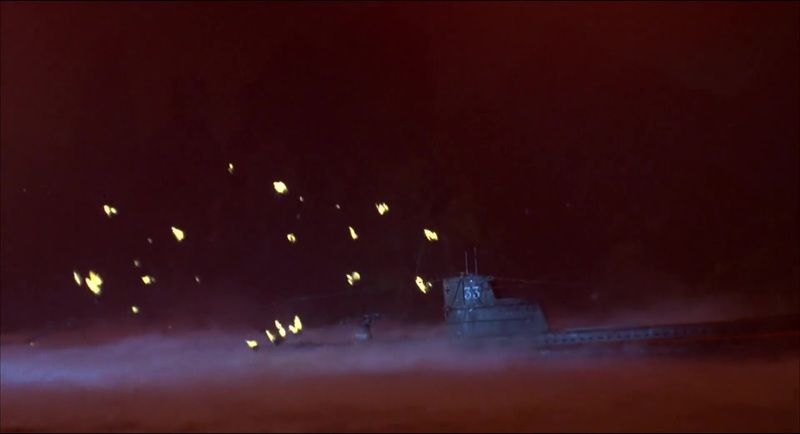 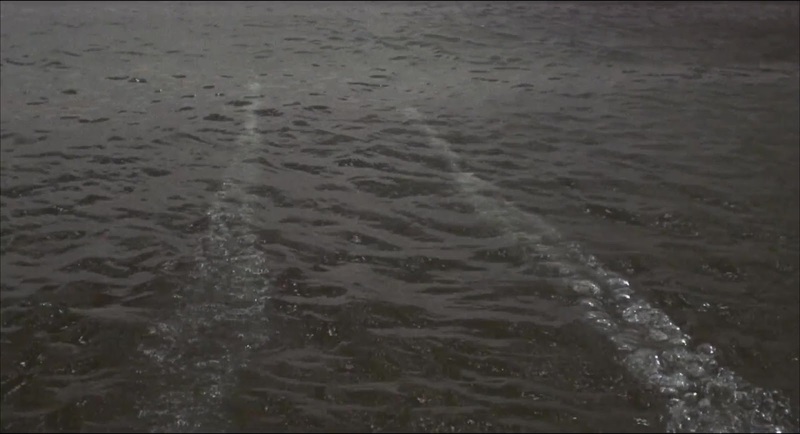 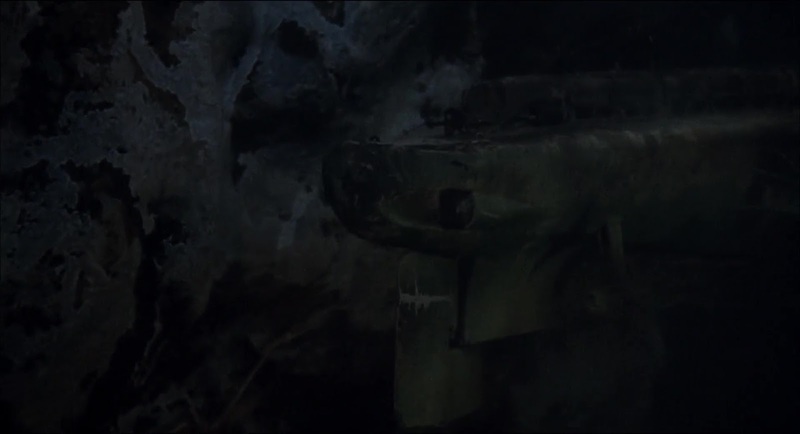 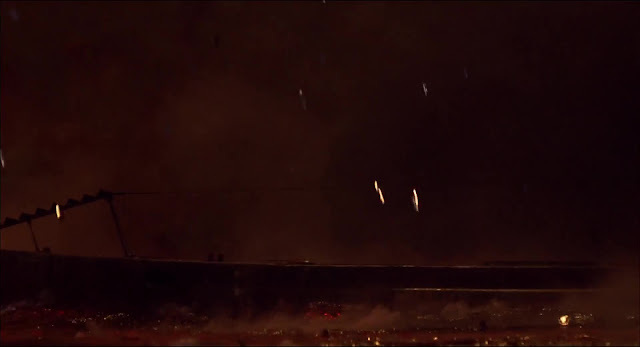 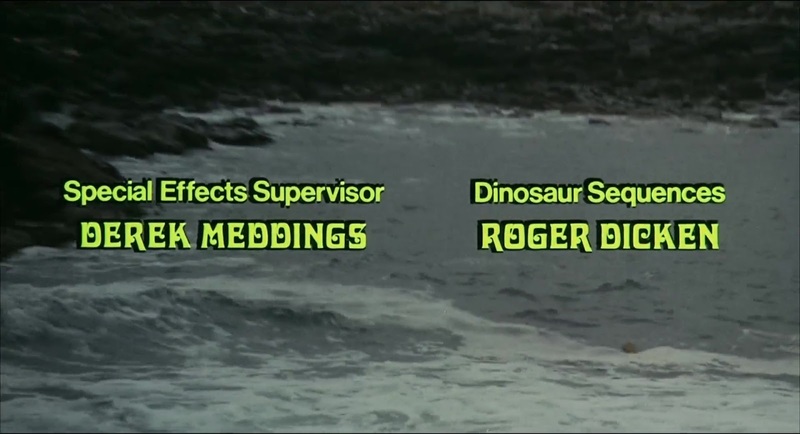 He intended to operate them himself but the special effects crew decided to do it themselves. 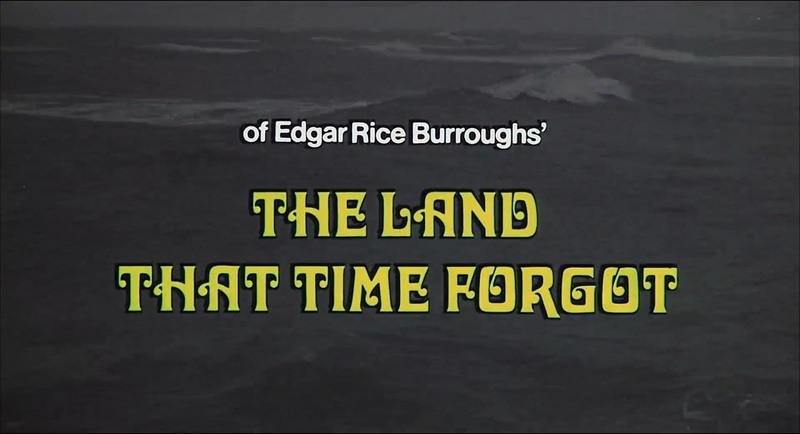 So incensed was Roger with the less than stellar movement that he refused to work on two follow up films, The People that time forgot and At The Earth's Core. 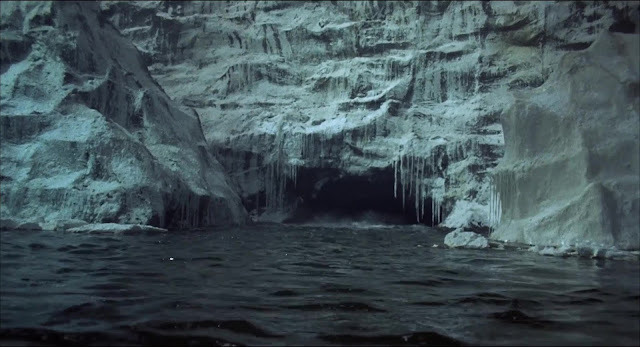 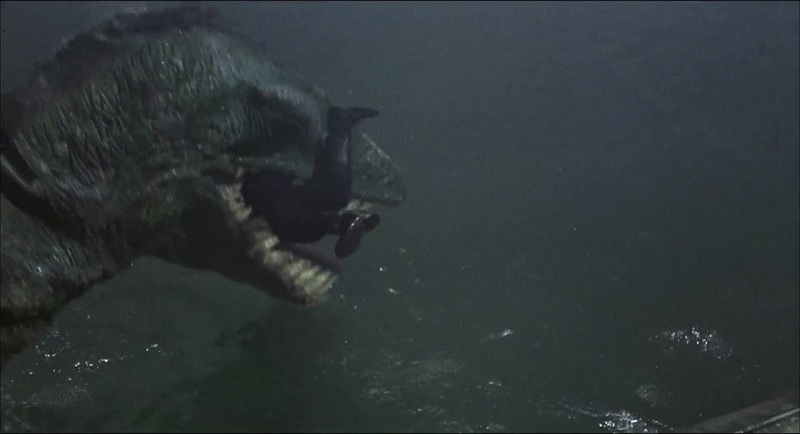 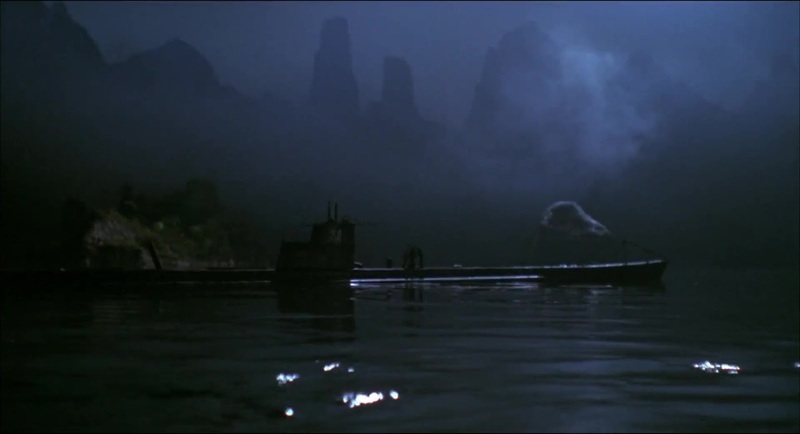 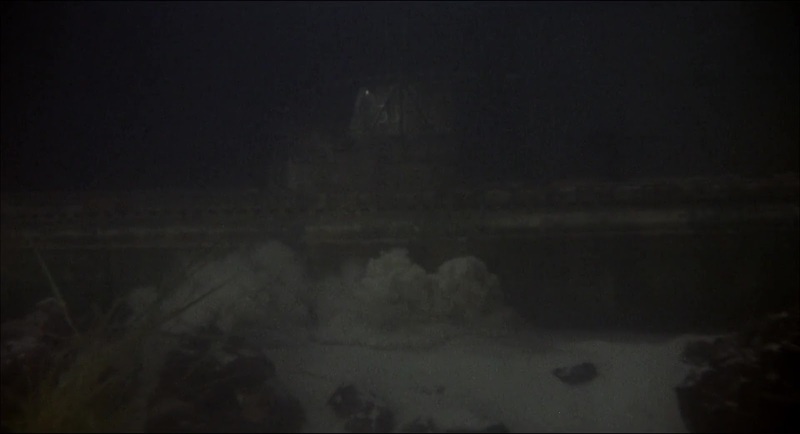 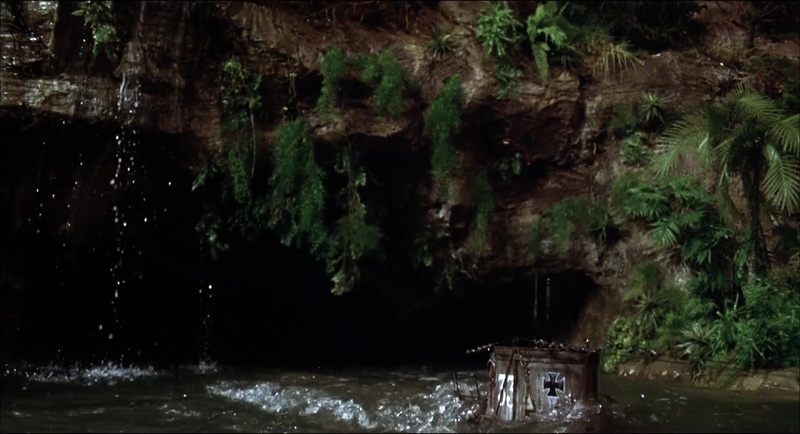 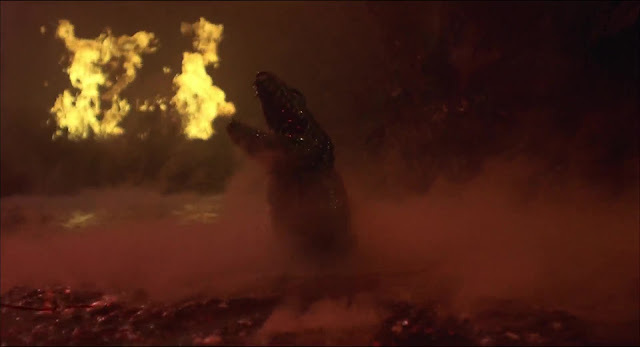 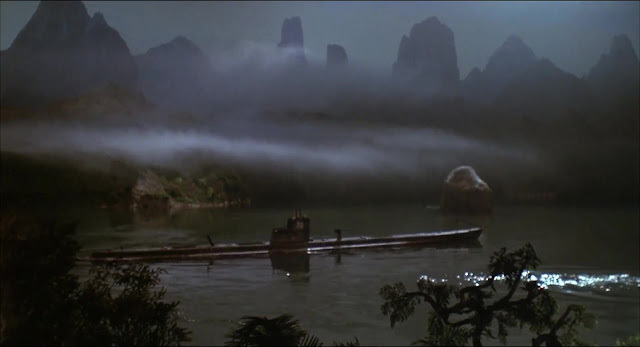 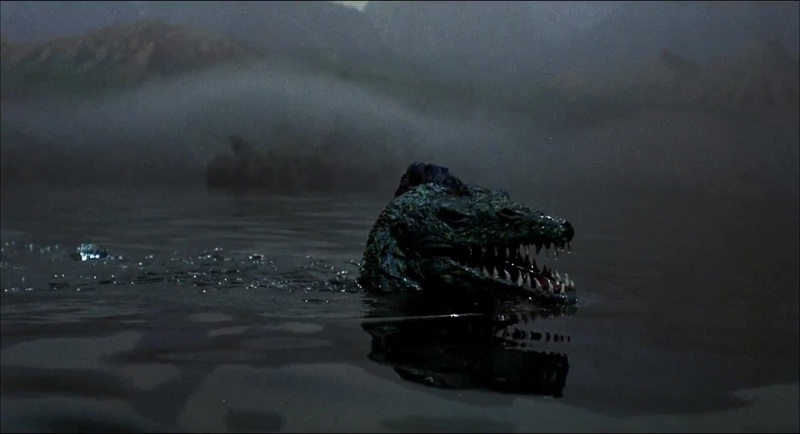 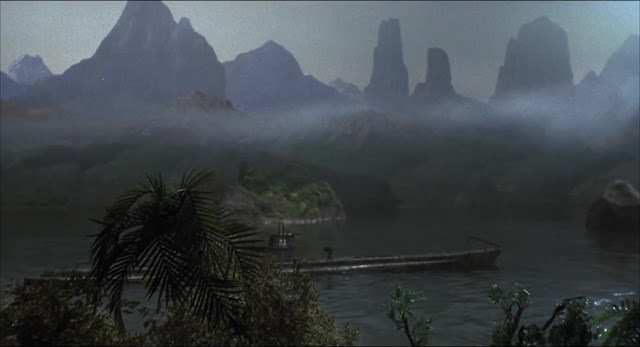 He did return to work on the final film in the series, Warlords of Atlantis to very good effect contributing some of my favourite movie creatures. Hey man I like what you are doing here, I love miniatures, keep it up.